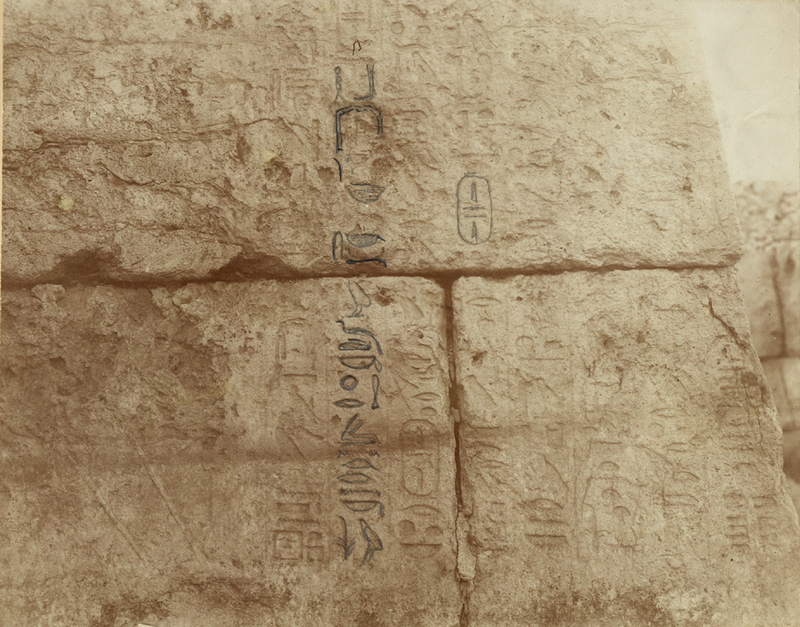 Owner of G 2370. 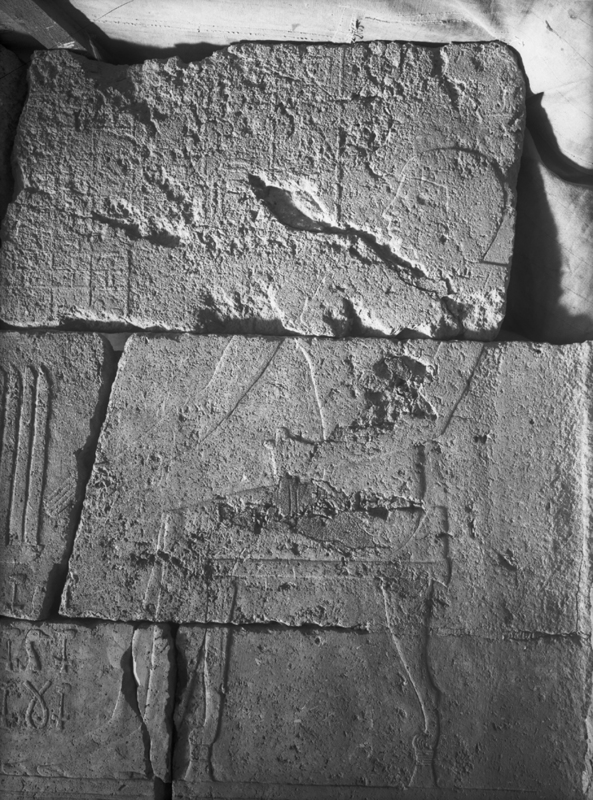 Senedjemib, [rn=f nfr] his good name Inti. 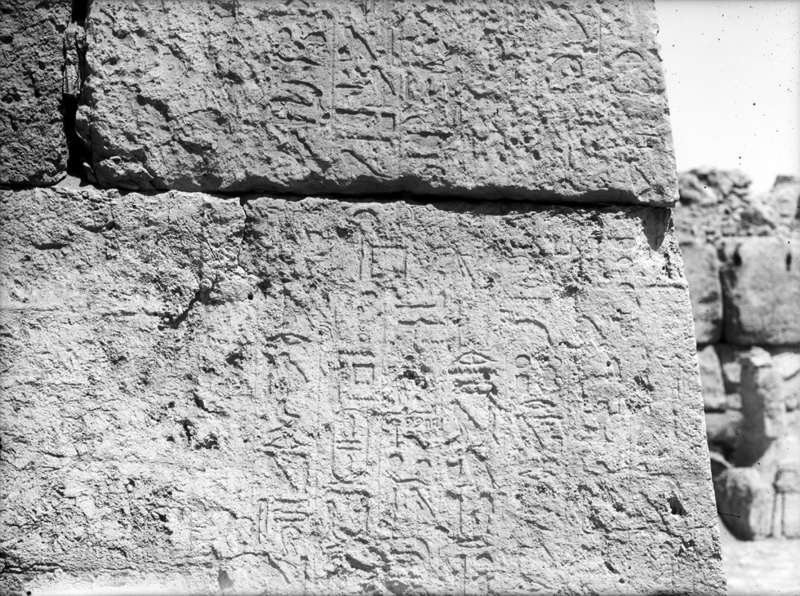 Father of Senedjemib Mehi (owner of G 2378) and Khnumenti (owner of G 2374). 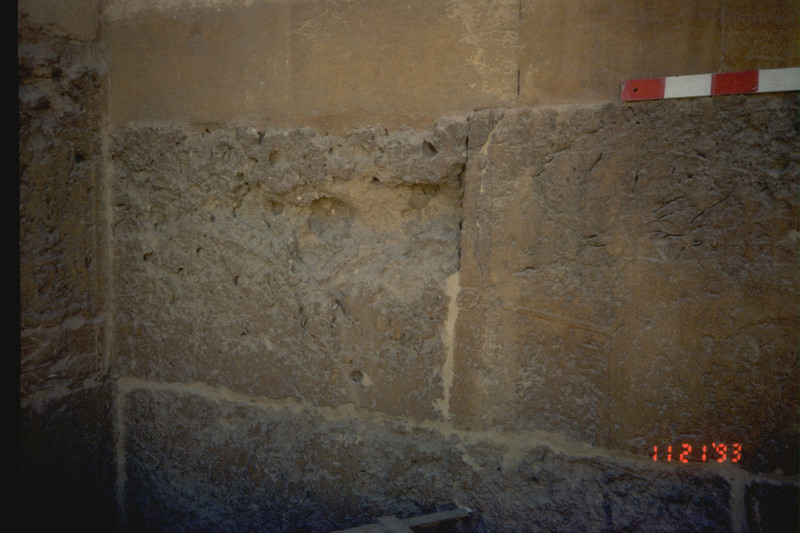 Appears in chapel relief (throughout chapel), architectural elements (including portico facade, door jambs and displaced portico architrave) and false door inscribed for Senedjemib Inti, identified as [xrp sSw nbw Xrj-tp nswt jmj-r Snwtj jmj-r pr-aHAw mDH qd nswt m prwj jmj-r prwj-HD jmj-r jswj Xkr nswt jmj-r st nbt nt Xnw jmj-r prw msw nswt jmj-r Xkr nswt jmj-r Hwt-wrt sjsw jmj-r sDmt nbt jrj-pat HAtj-a tAjtj sAb TAtj jmj-r kAt nbt nt nswt jmj-r sSw a nswt Hrj-sStA wDt-mdw nbt nt nswt Hrj-Xb smr watj] controller of all scribes, royal chamberlain, overseer of the two granaries, overseer of the armory, royal architect in the two houses, overseer of the two treasuries, overseer of the two chambers of royal regalia, overseer of every department of the Residence, overseer of the houses of the royal children, overseer of royal regalia, overseer of the six great law-courts, overseer of all that is judged, hereditary prince, count, chief justice and vizier, overseer of all royal works, overseer of royal document scribes, secretary of every royal decree, lector-priest, sole companion; in situ in G 2370. 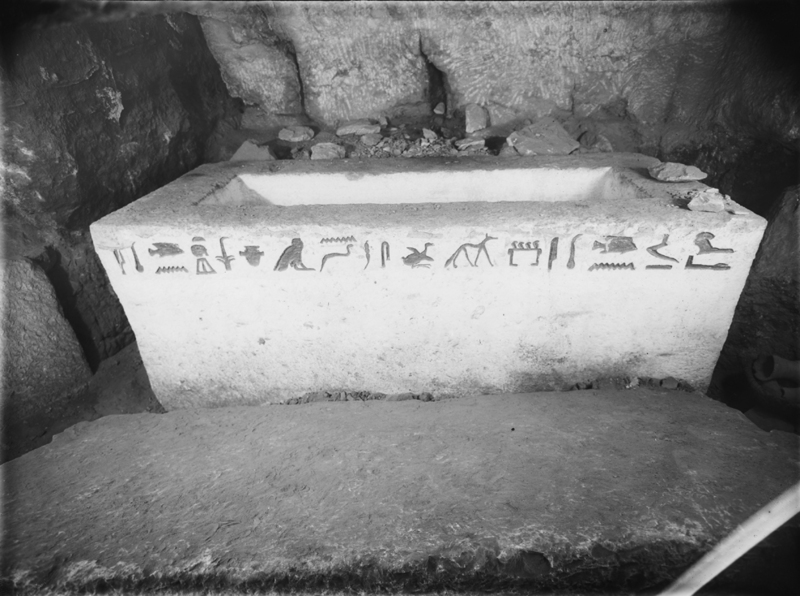 Limestone sarcophagus inscribed for Senedjemib Inti, identified as [HAtj-a mAa jntj tAjtj sAb TAtj snDmjb Xrj-tp nswt jntj] true count Inti, chief justice and vizier Senedjemib, royal chamberlain Inti; in situ in burial chamber of G 2370 B. 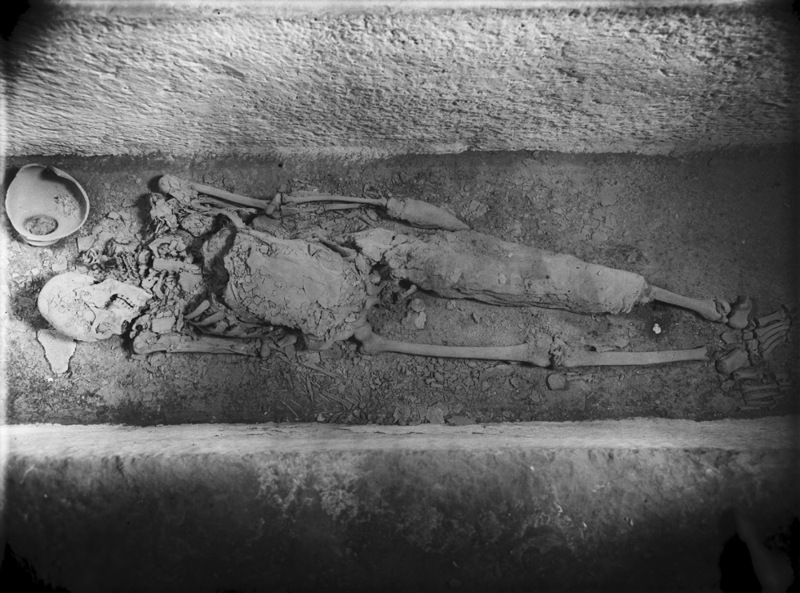 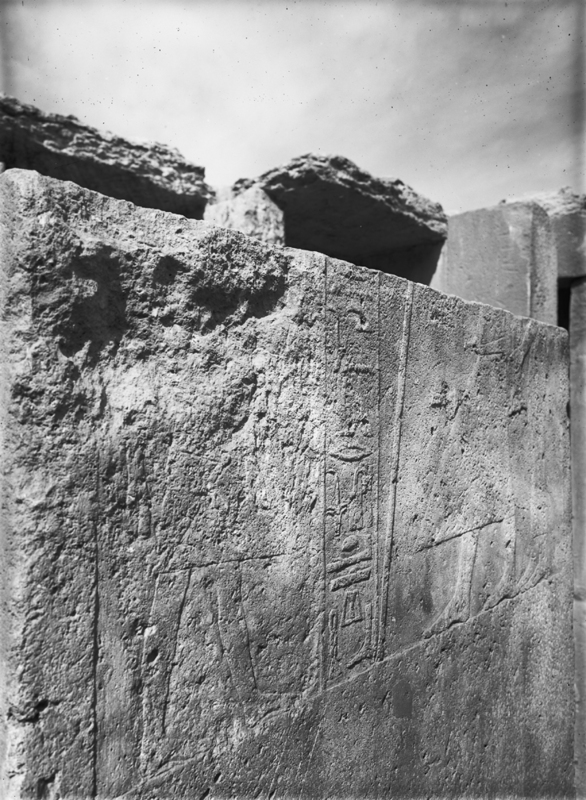 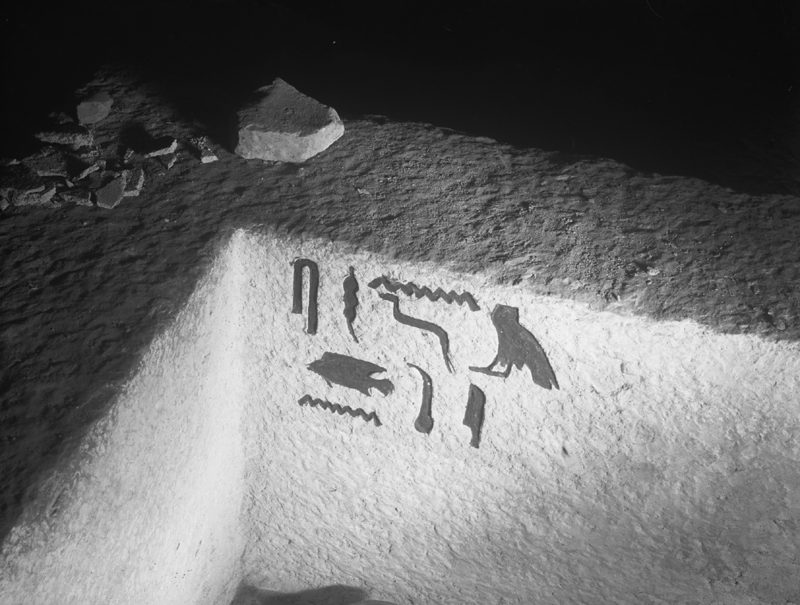 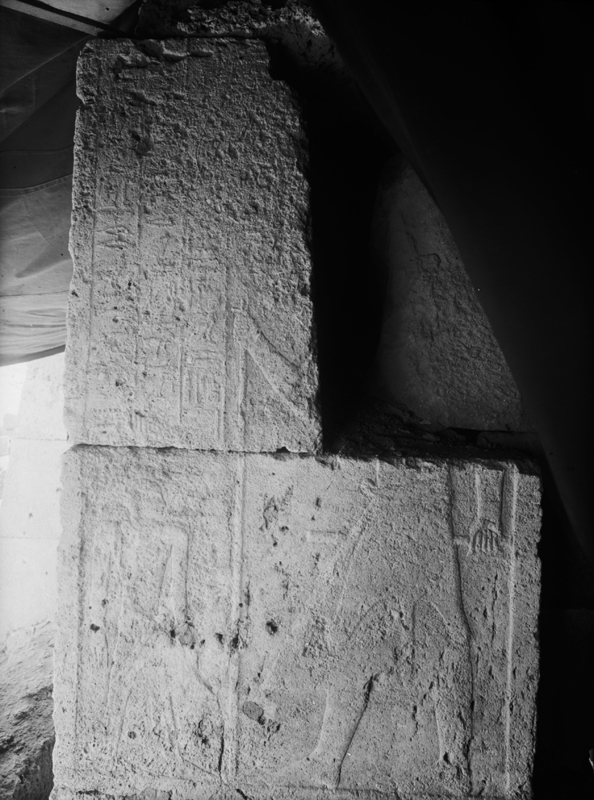 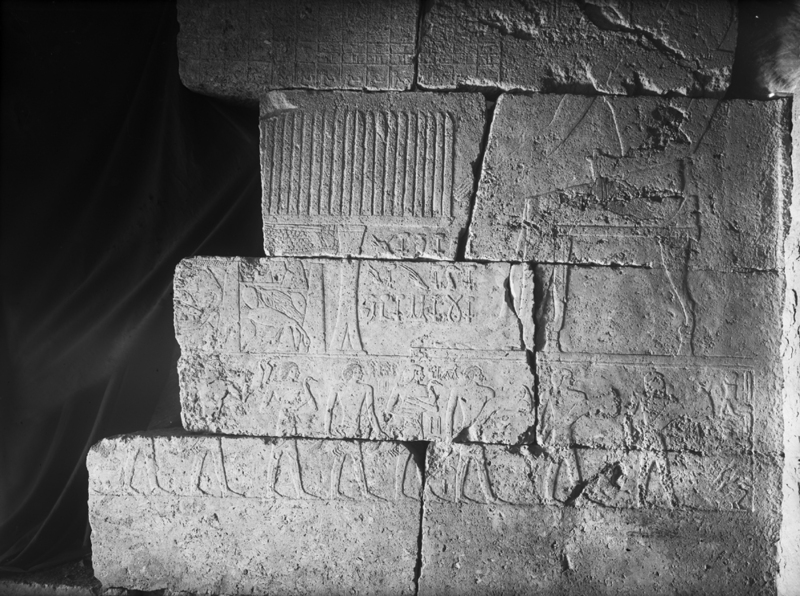 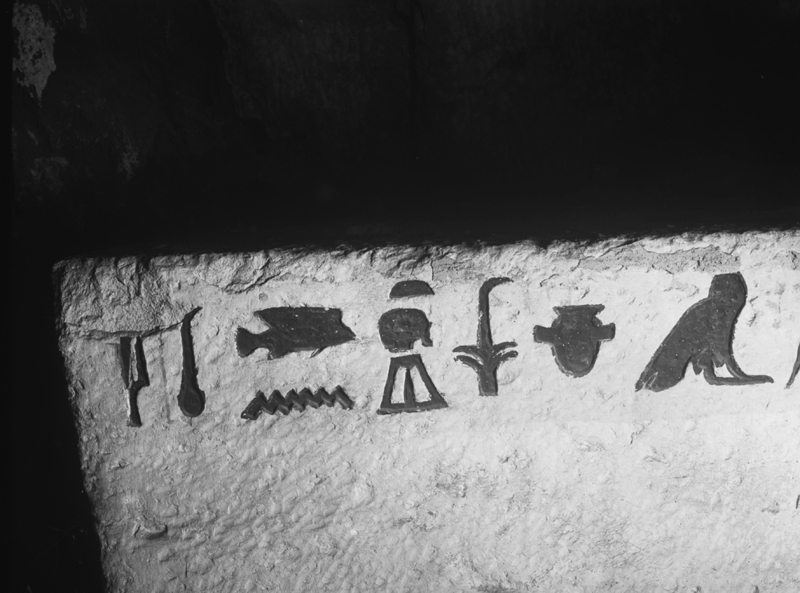 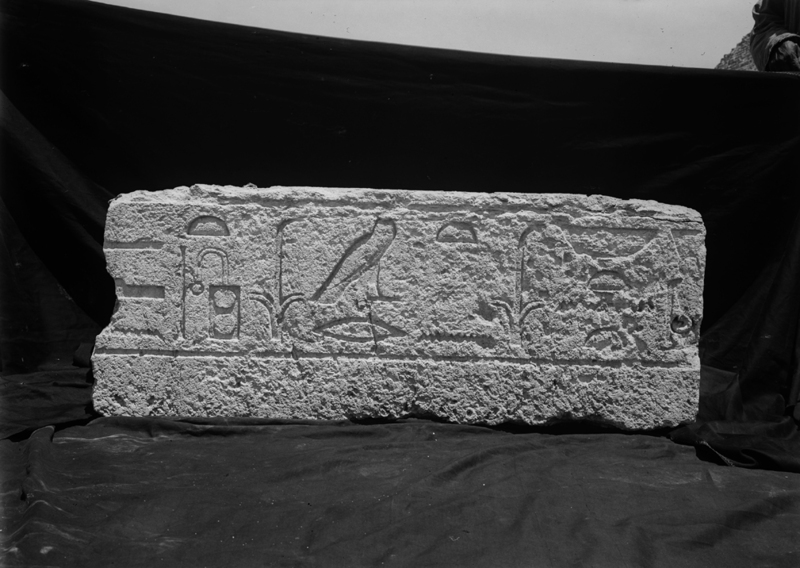 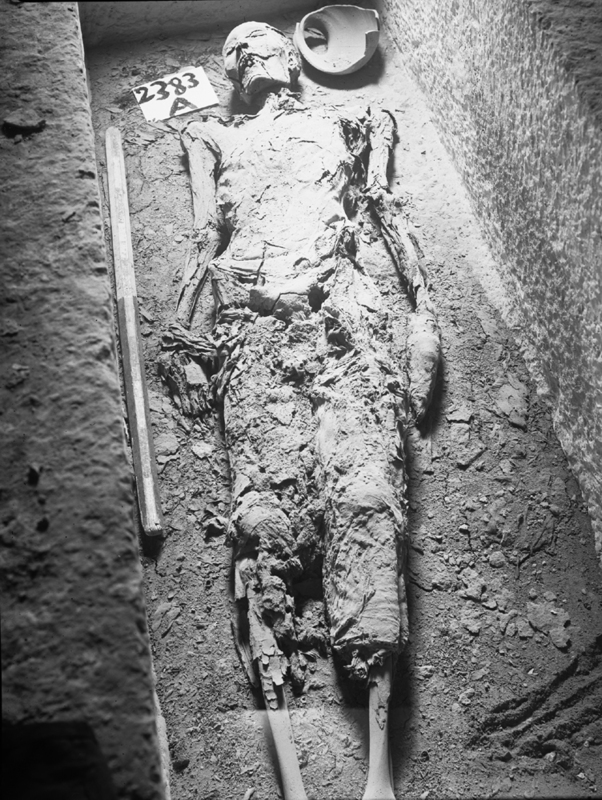 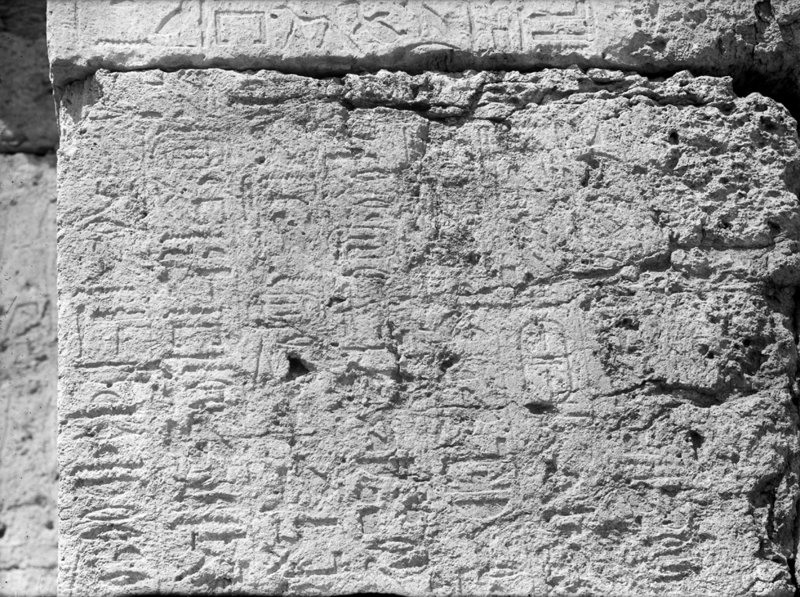 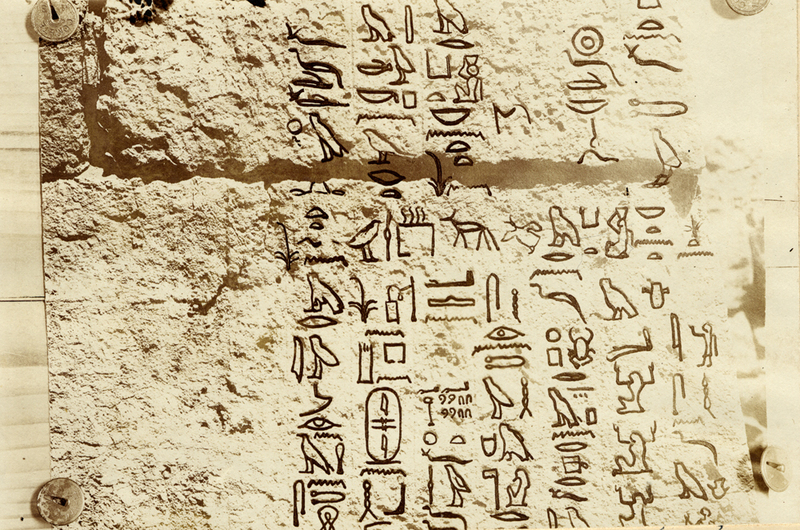 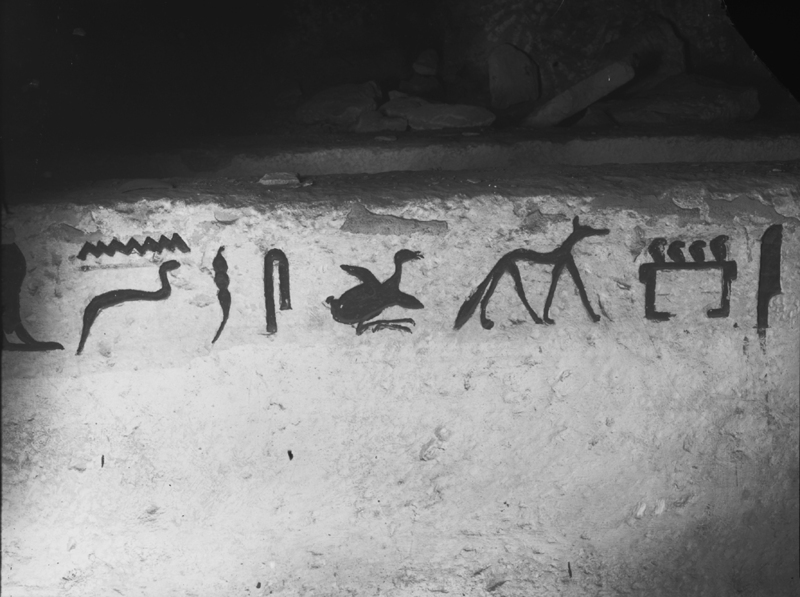 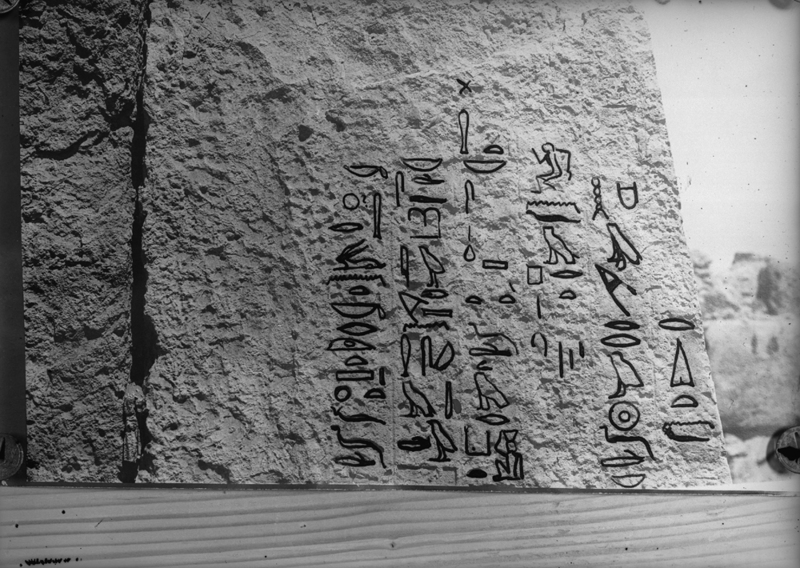 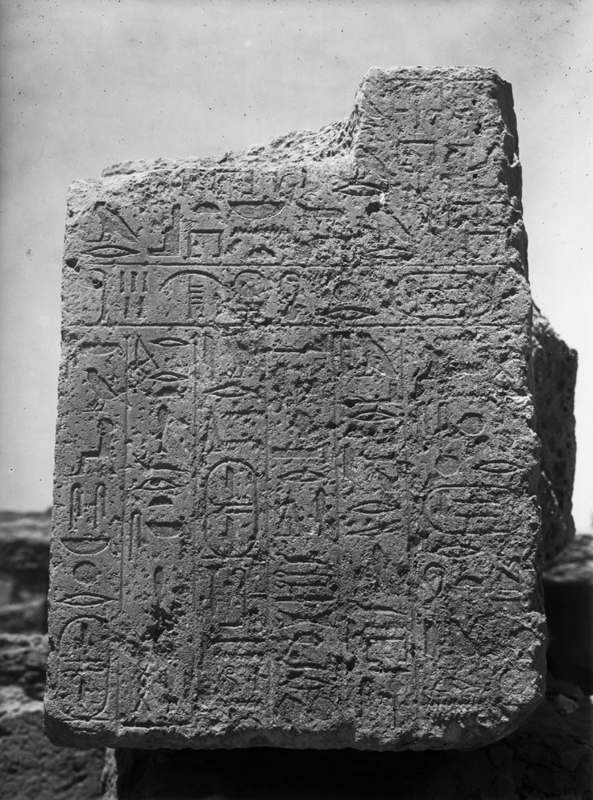 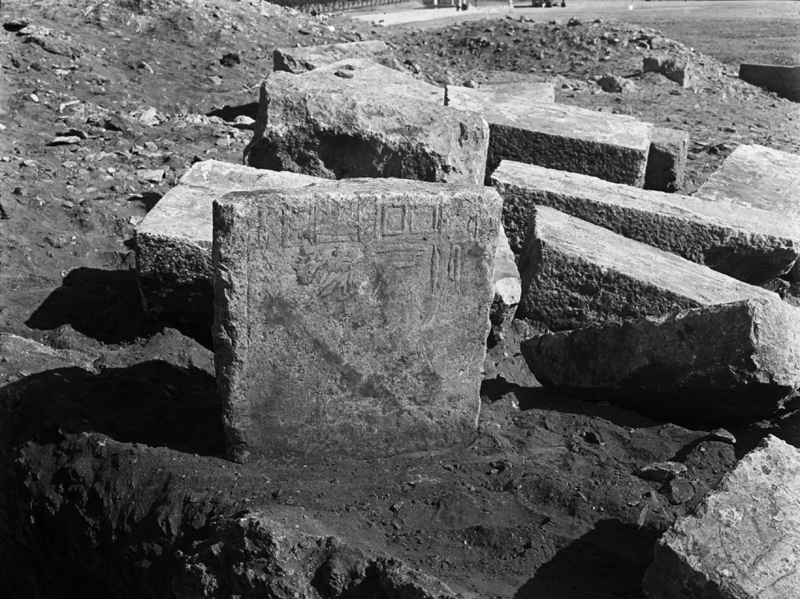 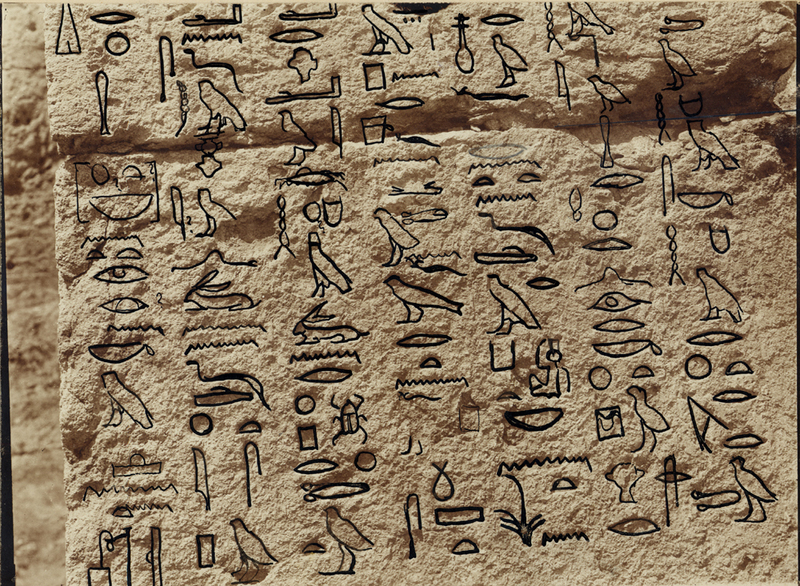 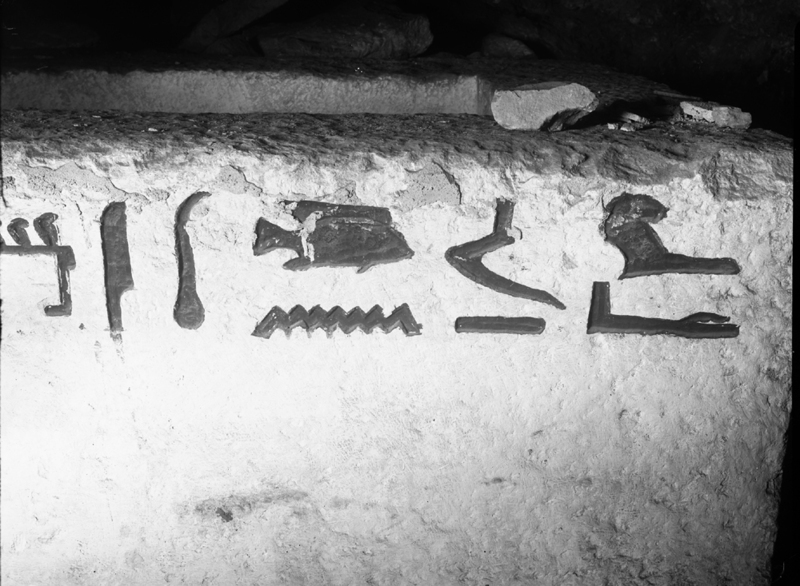 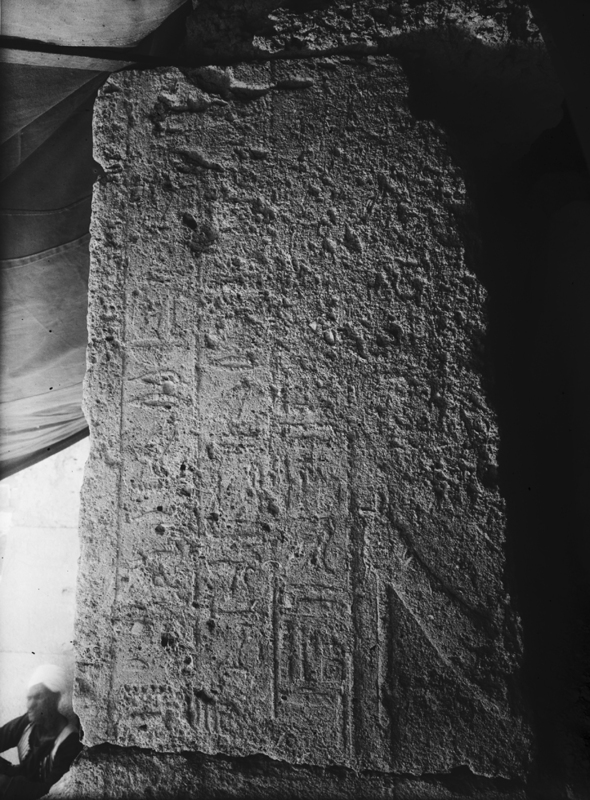 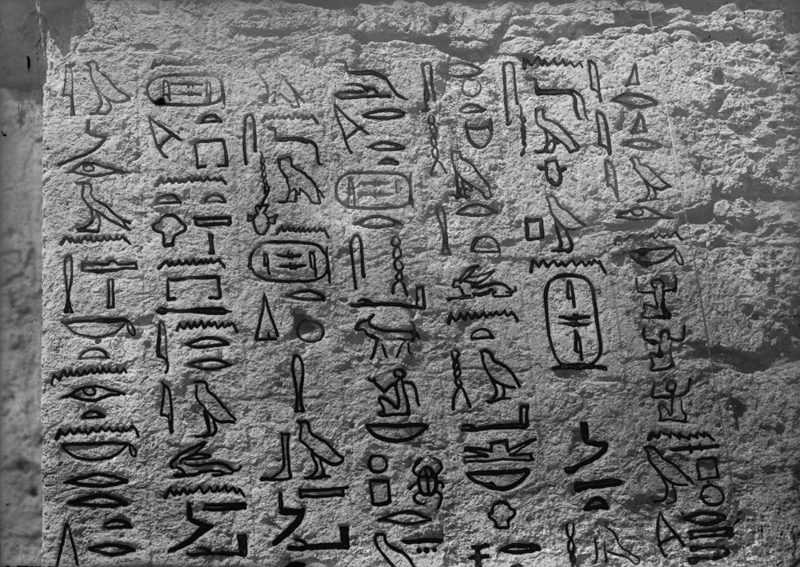 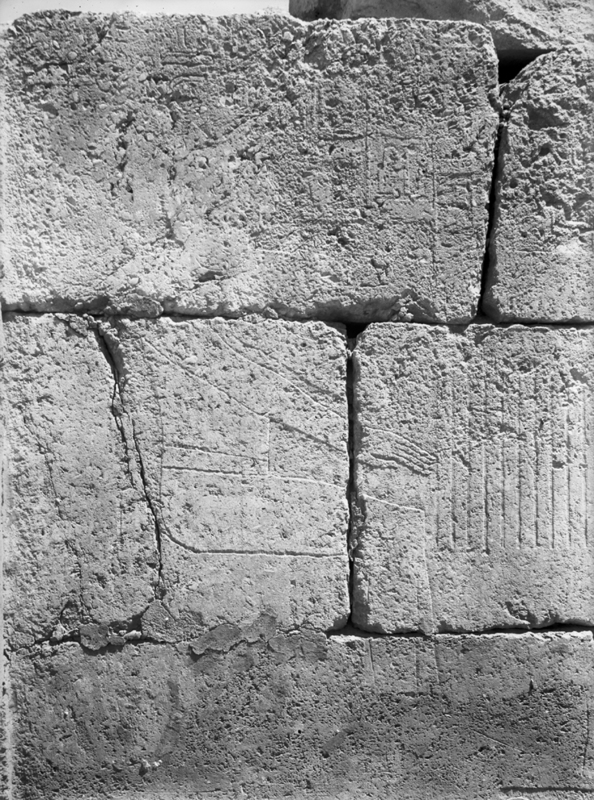 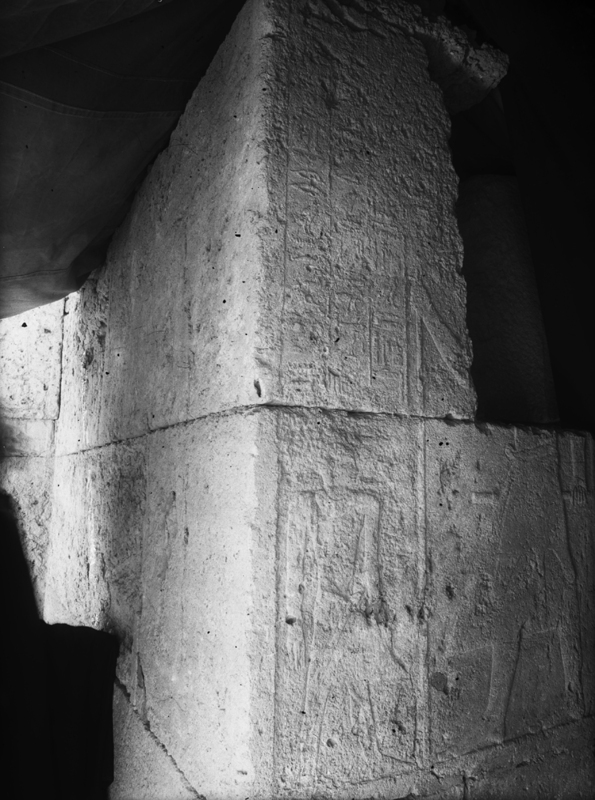 Possibly same individual as owner of Lepsius 10 (in Khafre Quarry). 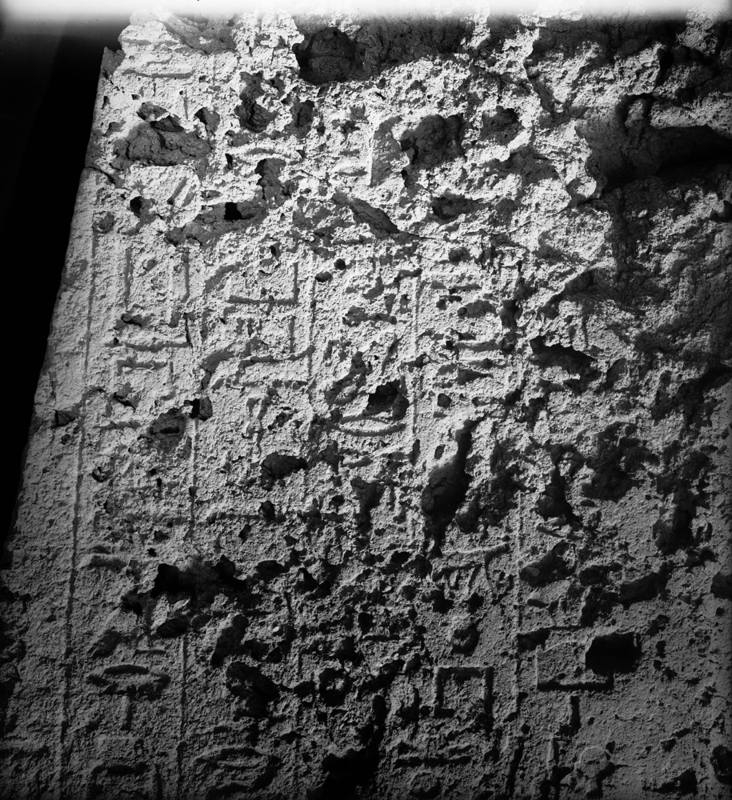 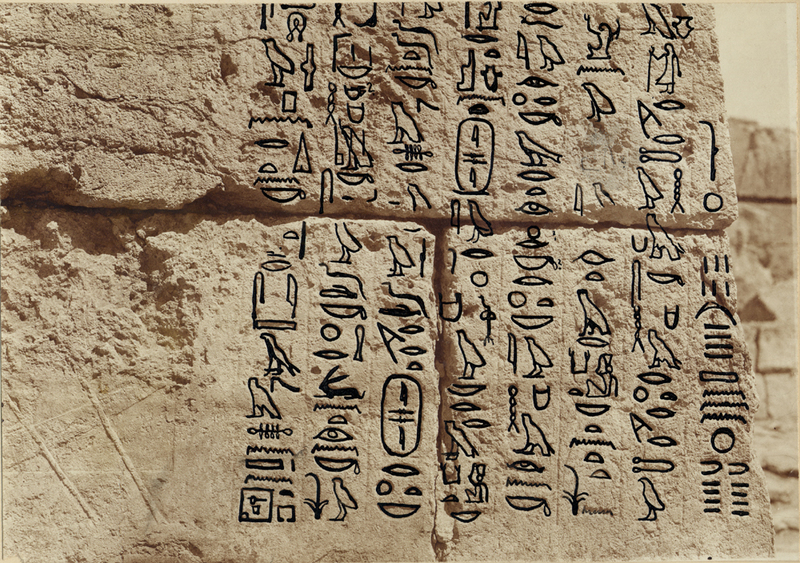 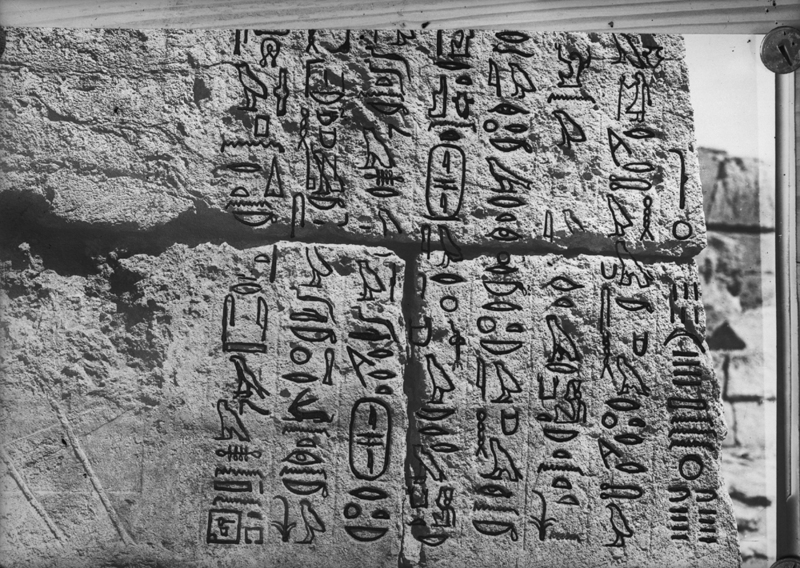 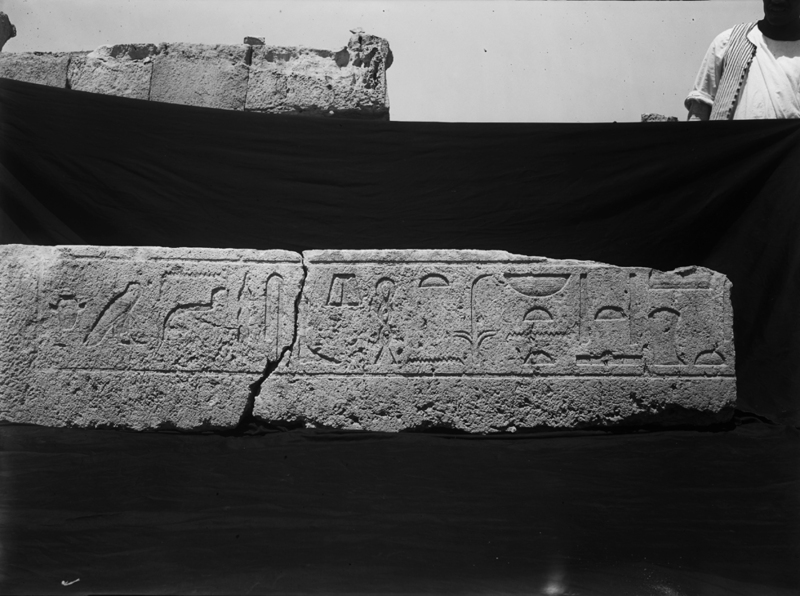 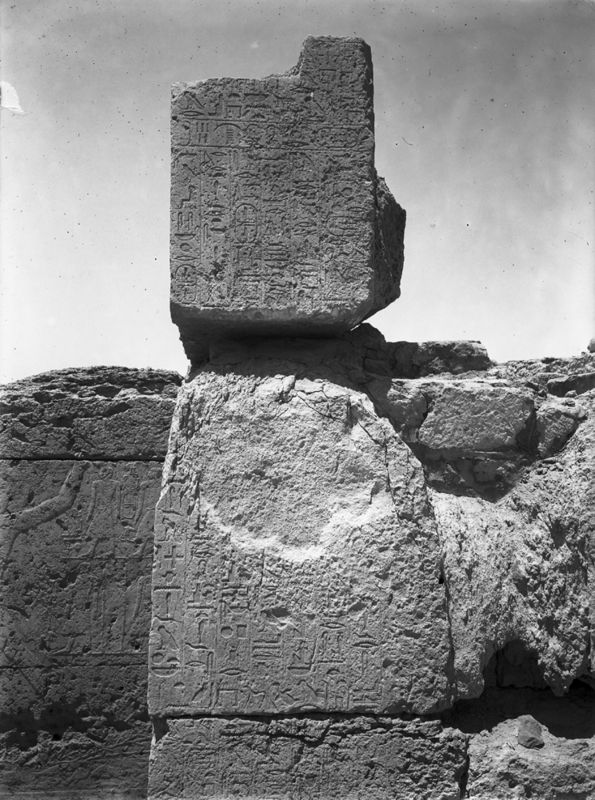 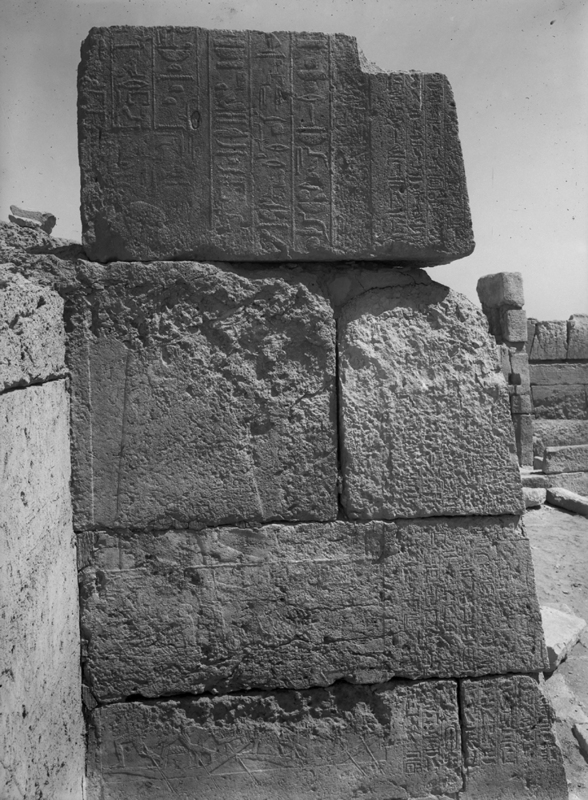 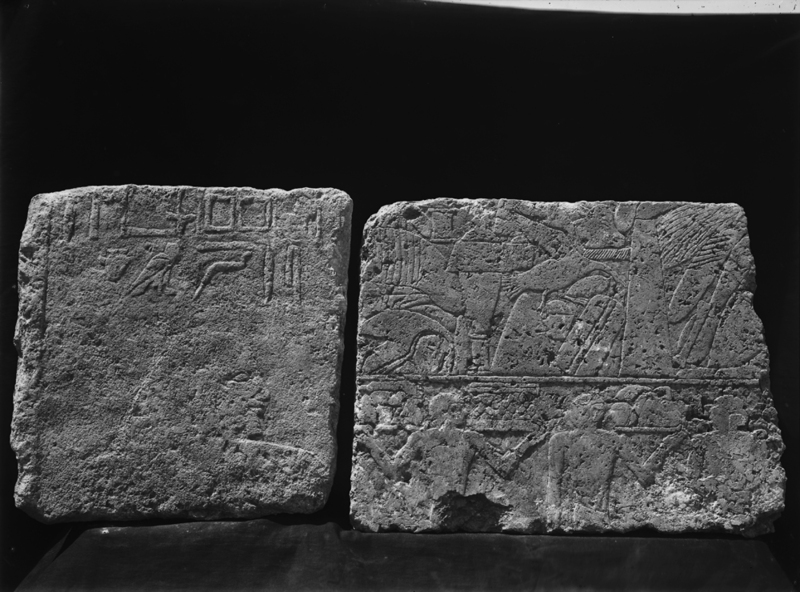 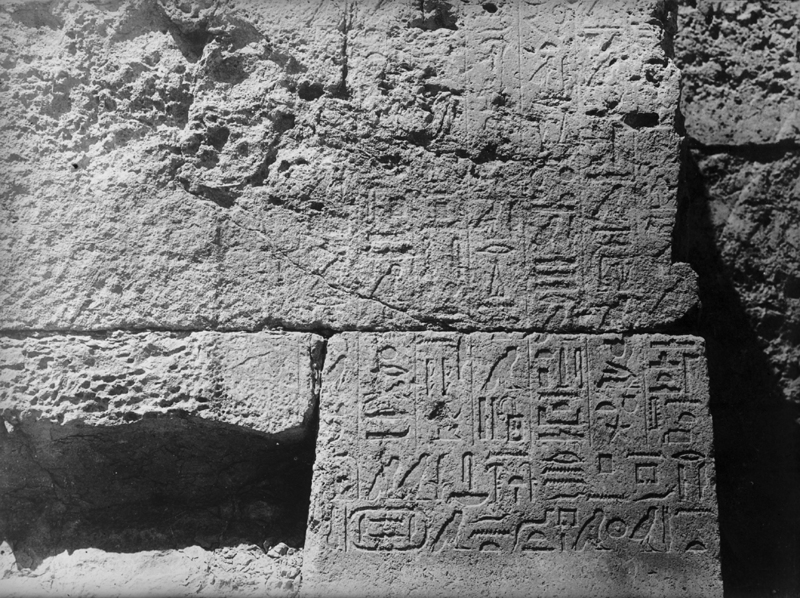 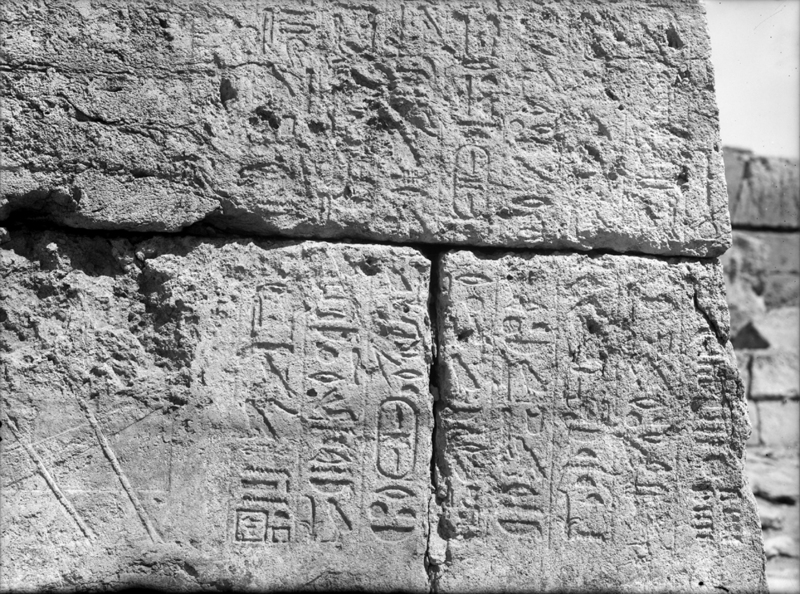 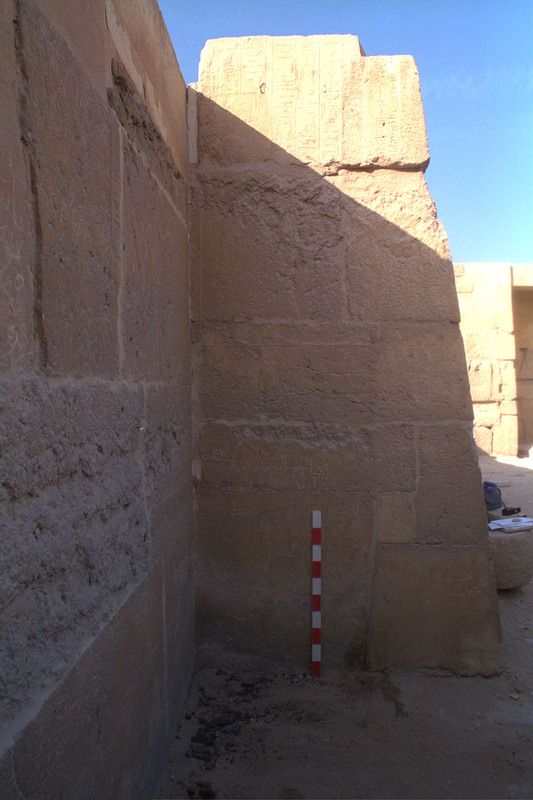 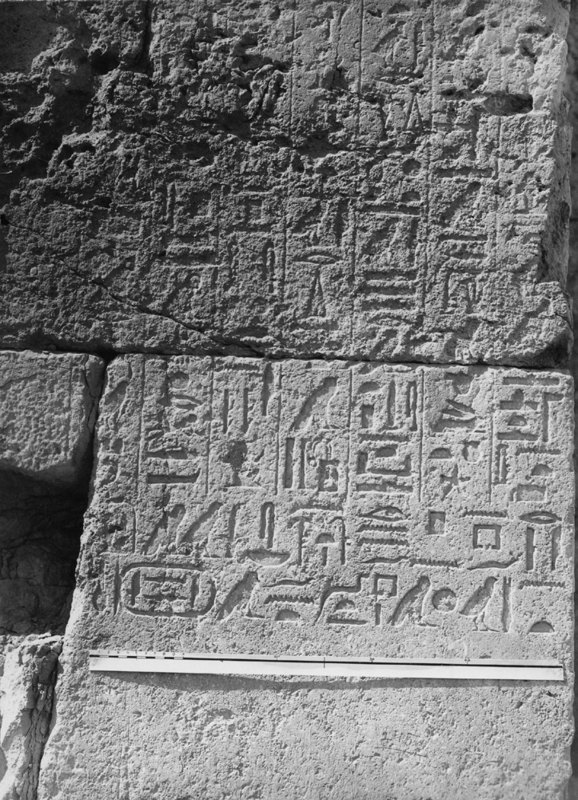 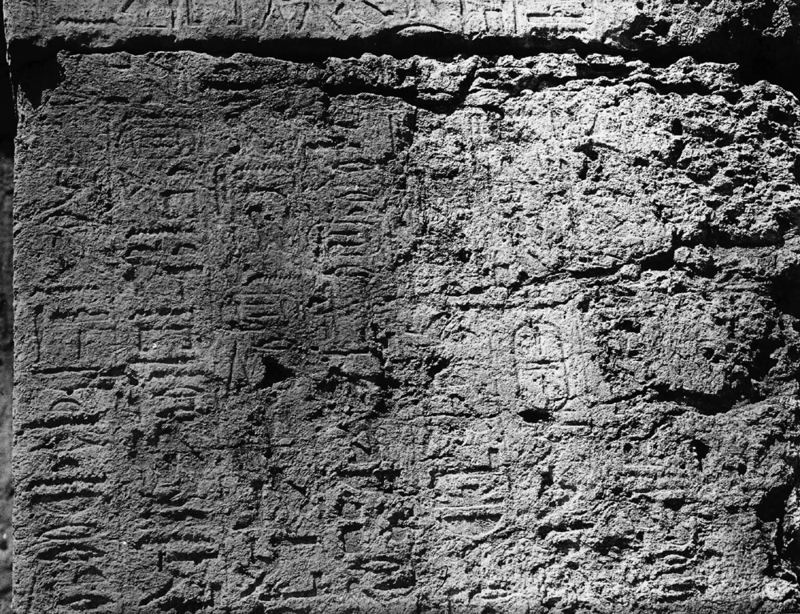 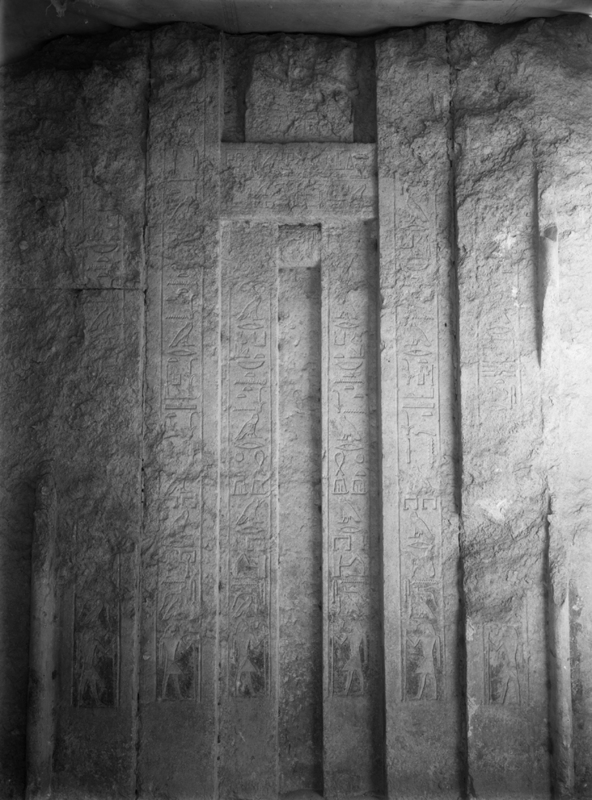 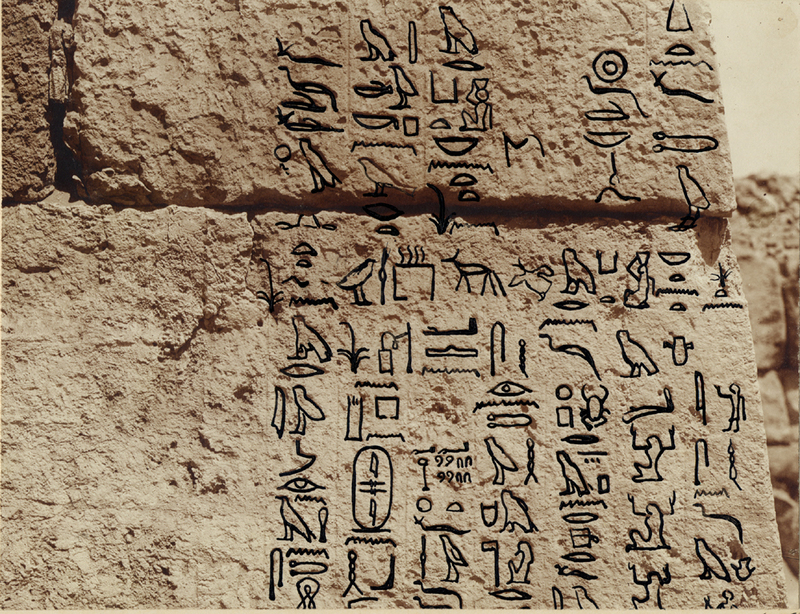 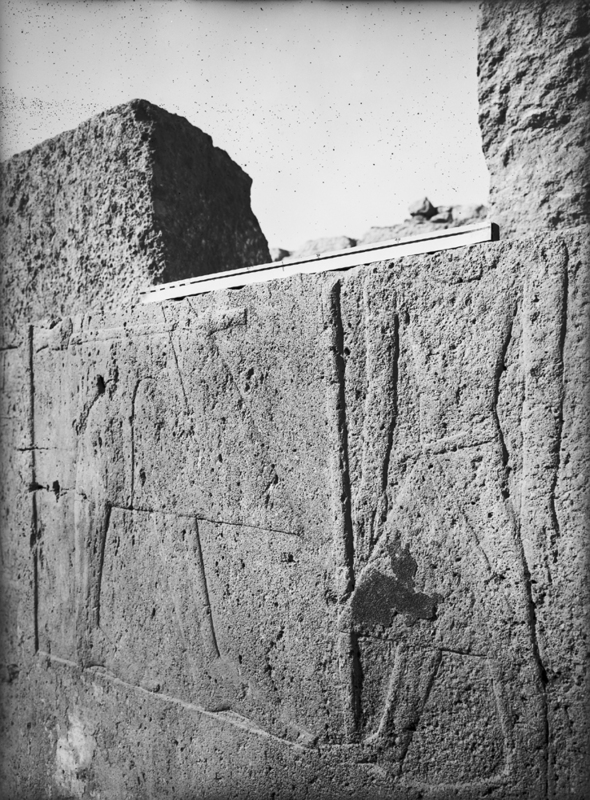 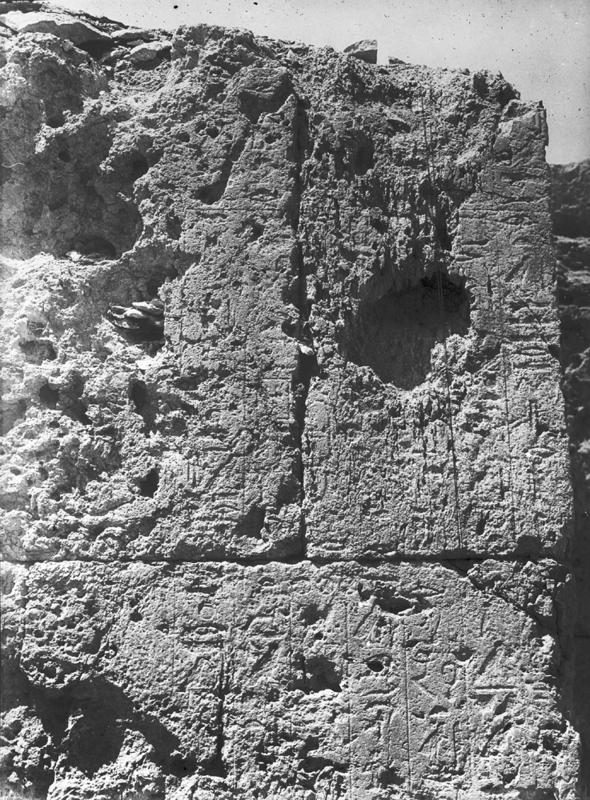 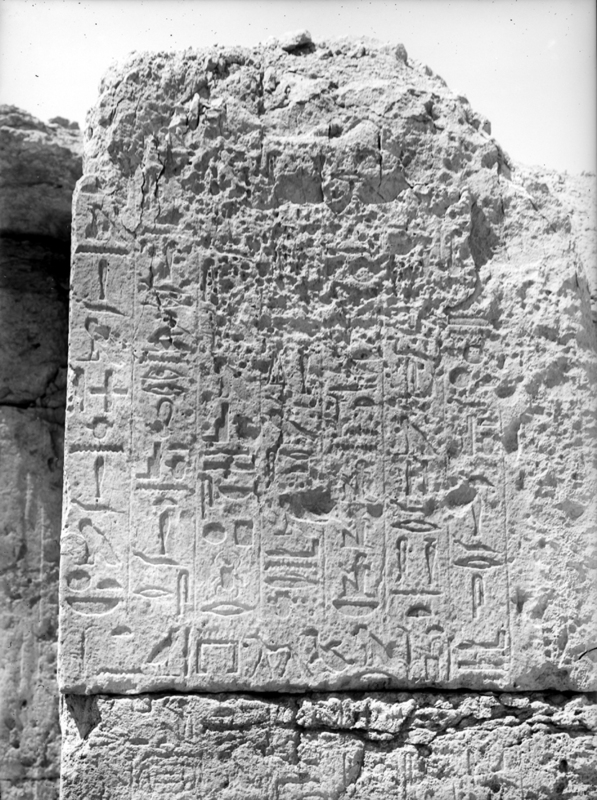 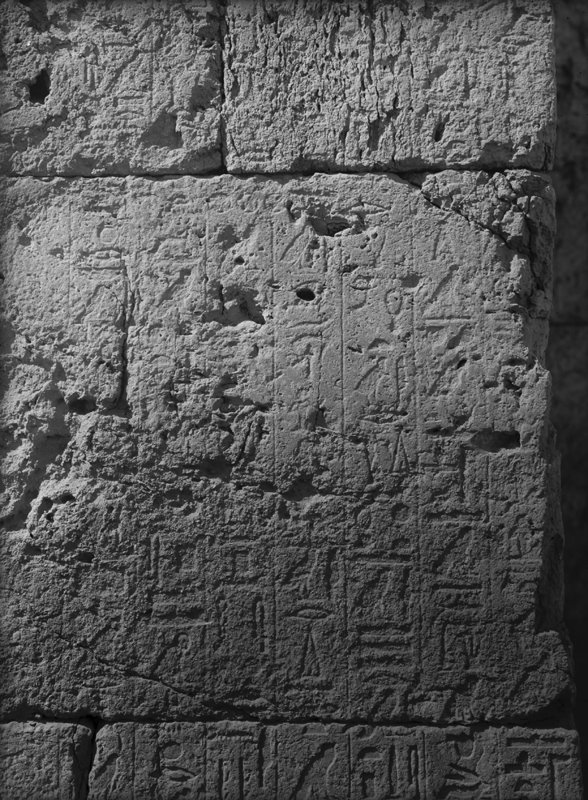 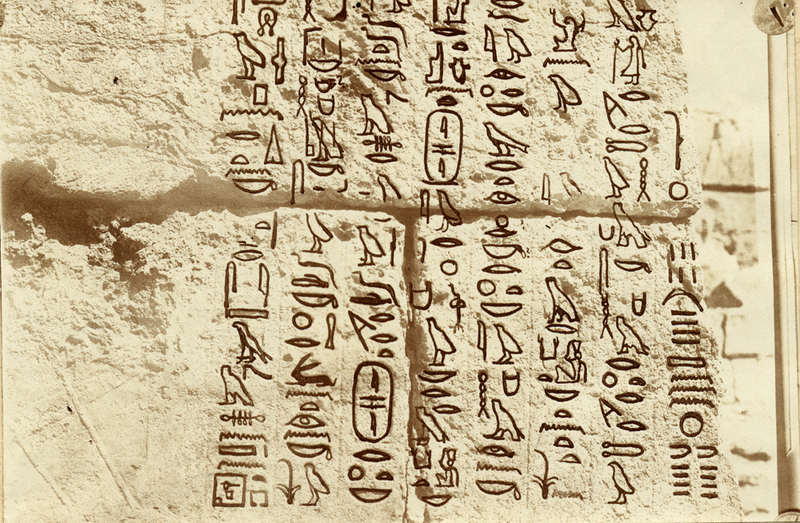 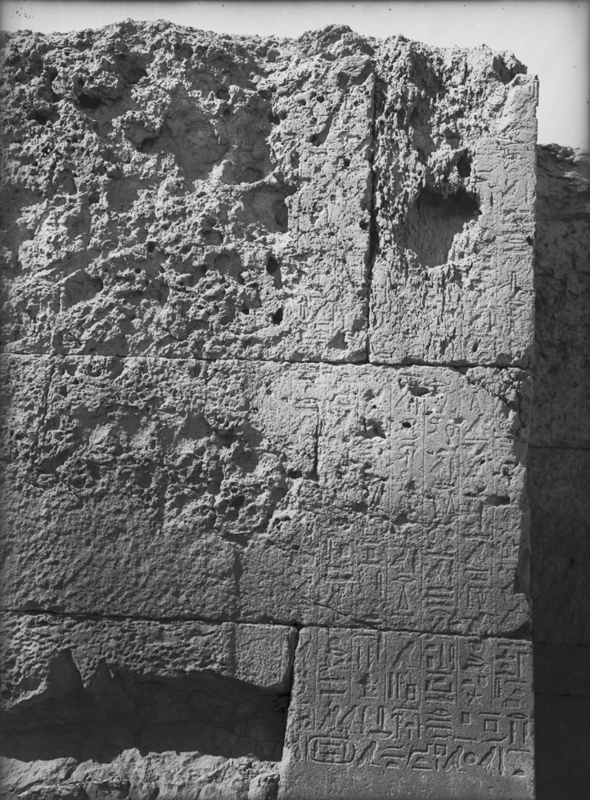 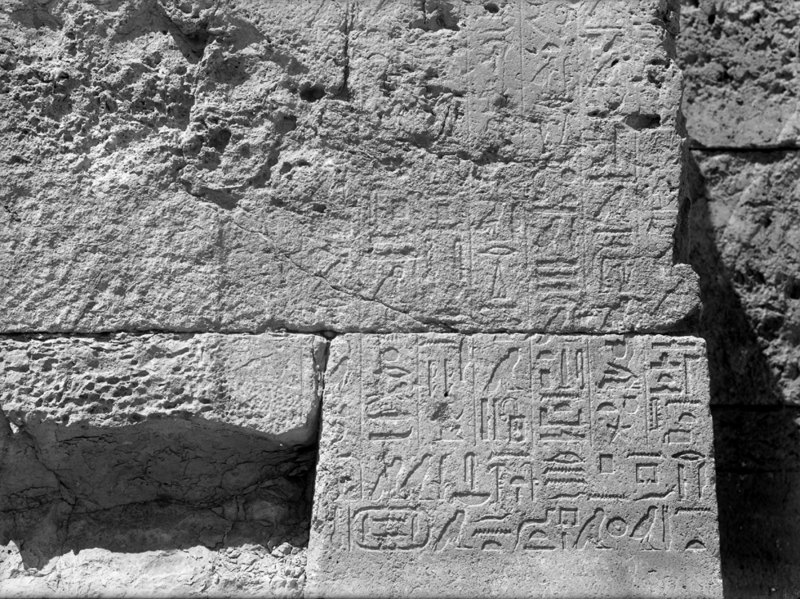 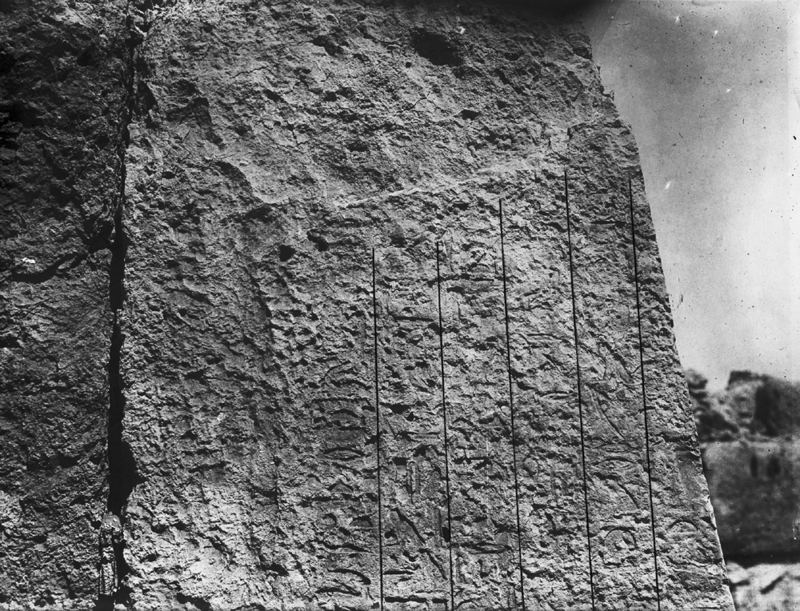 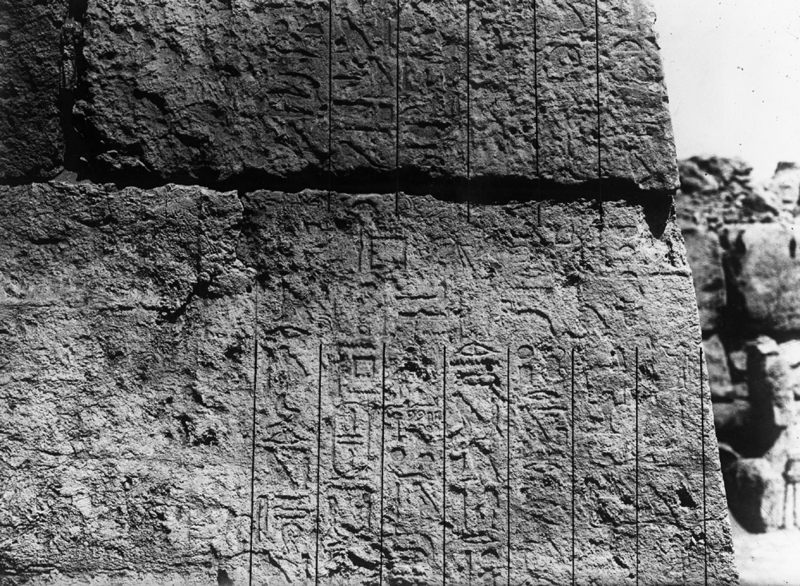 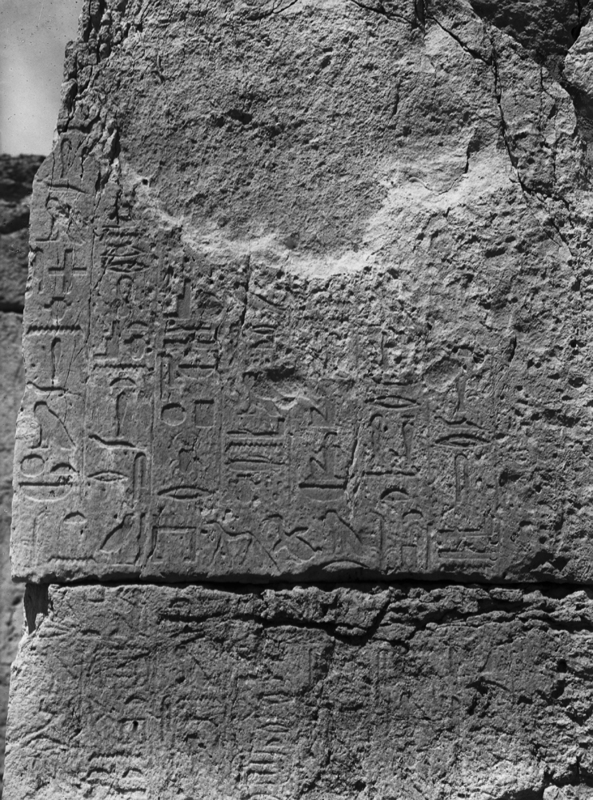 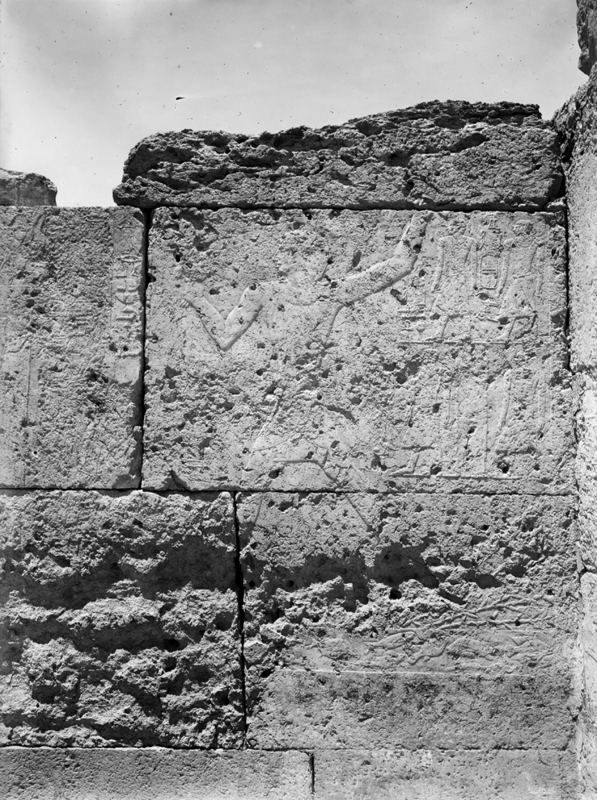 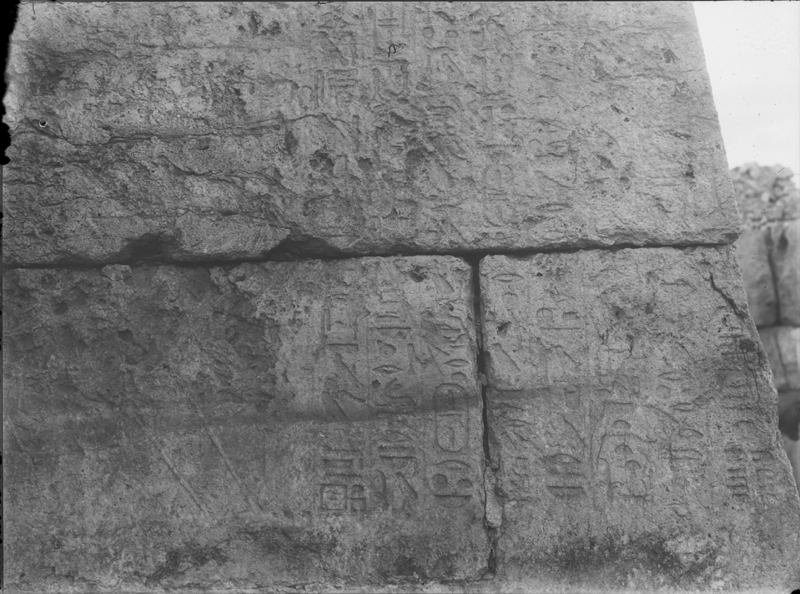 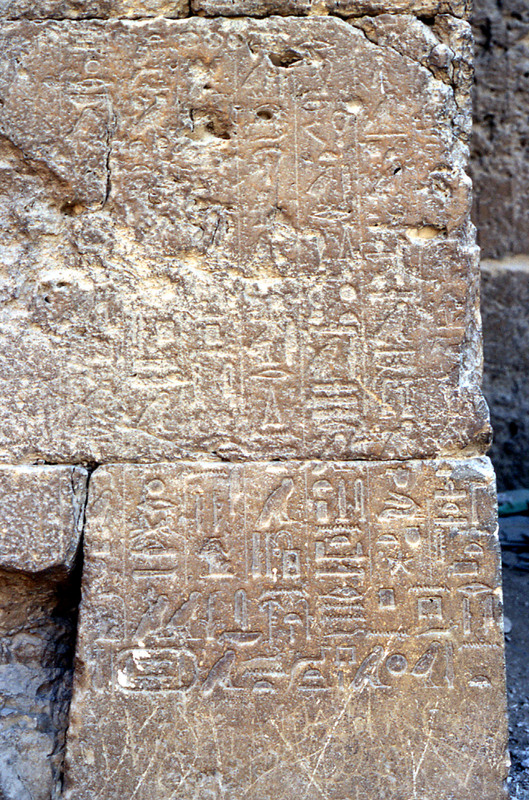 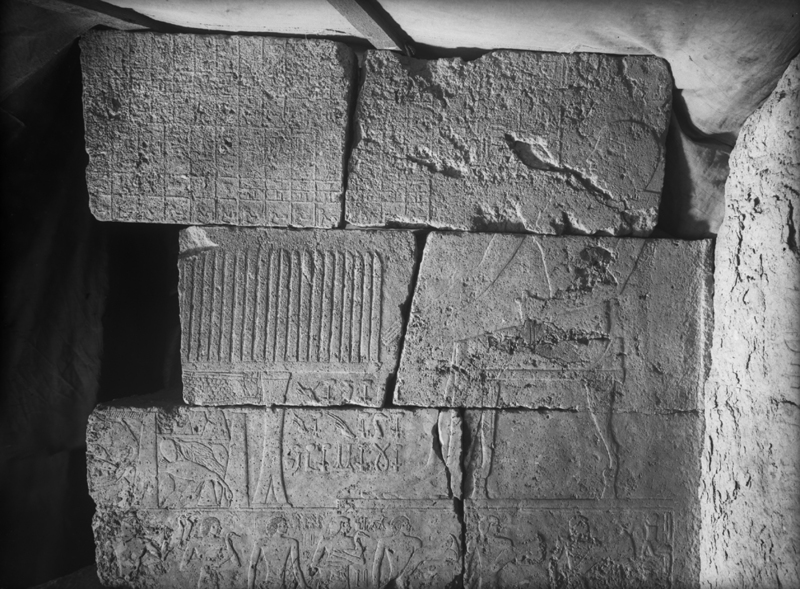 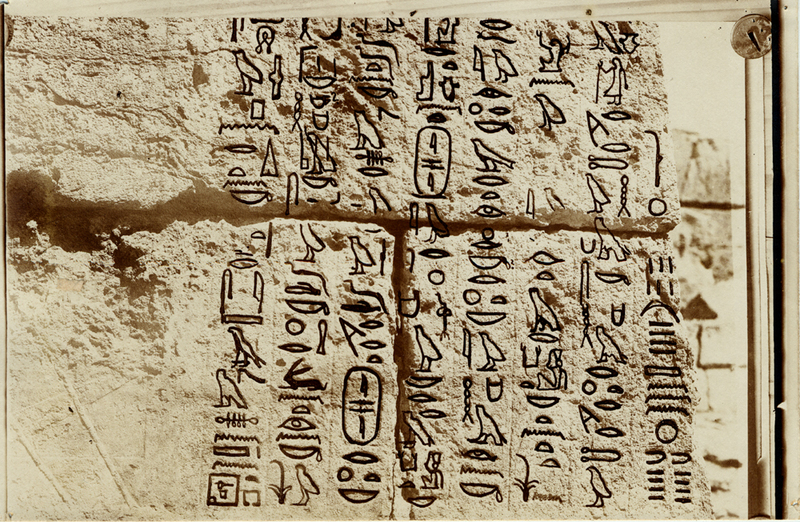 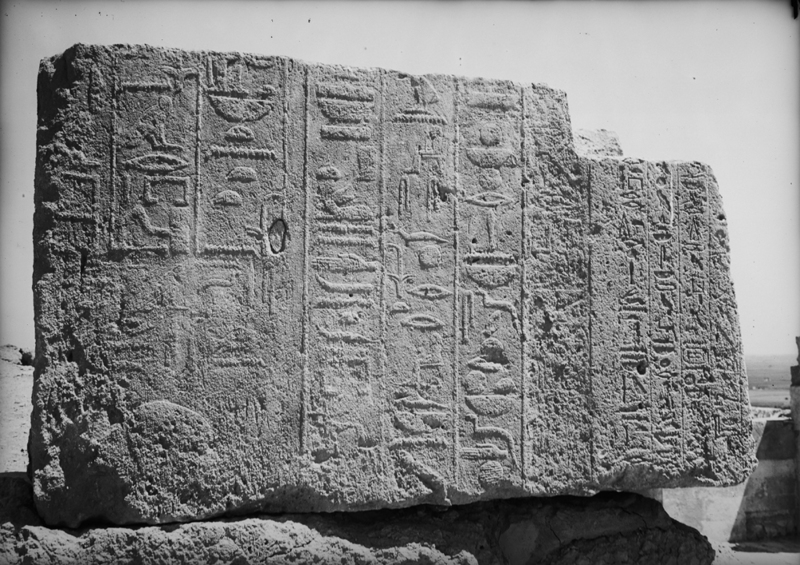 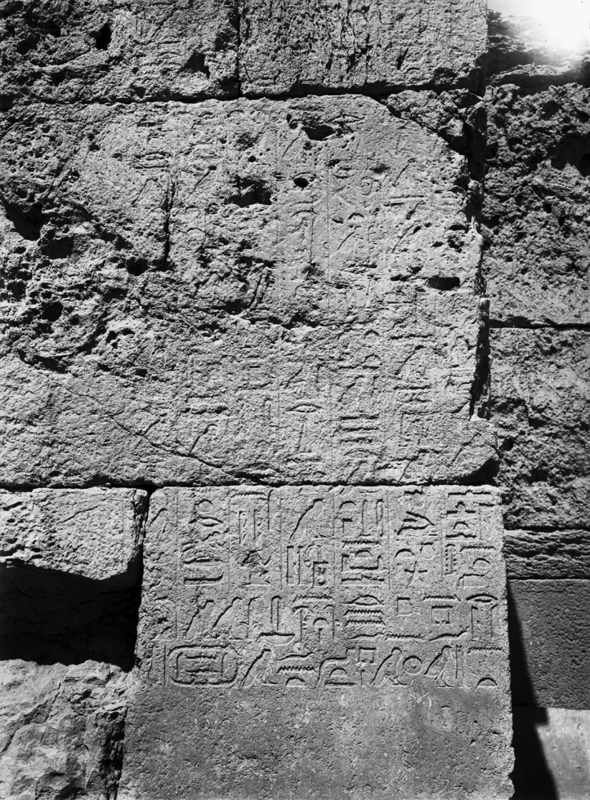 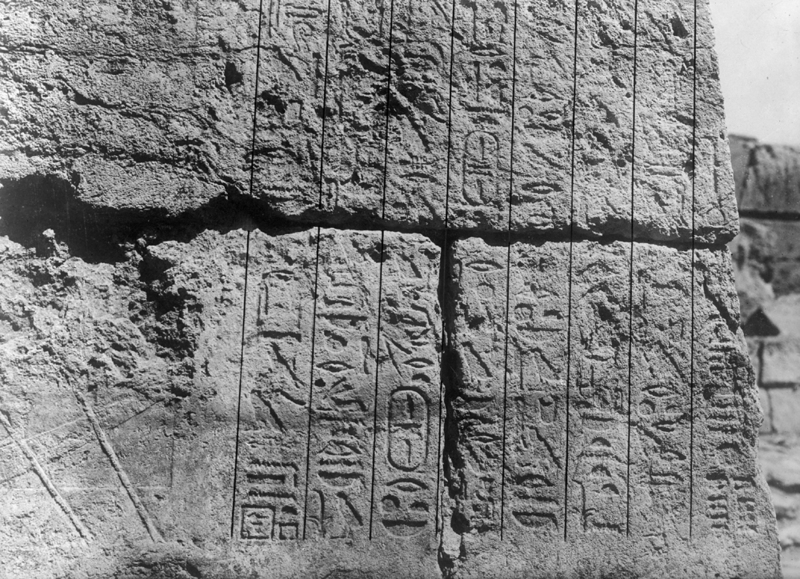 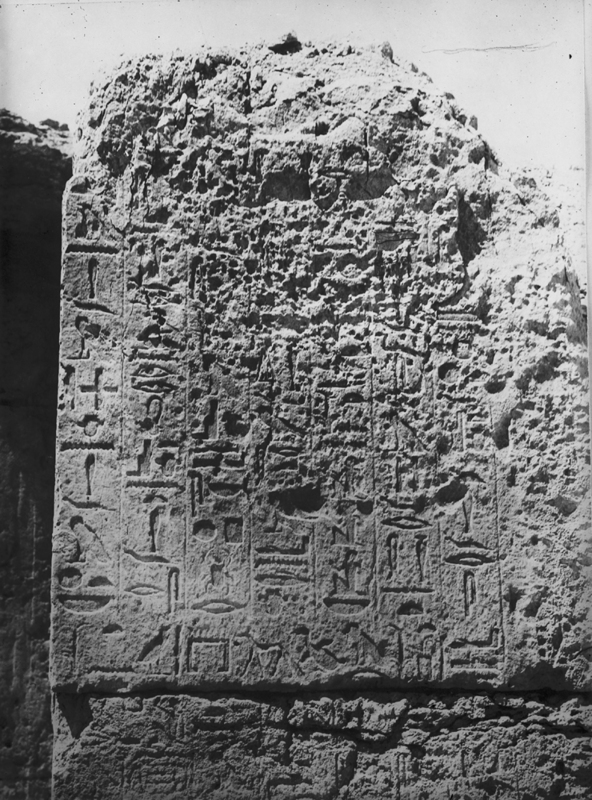 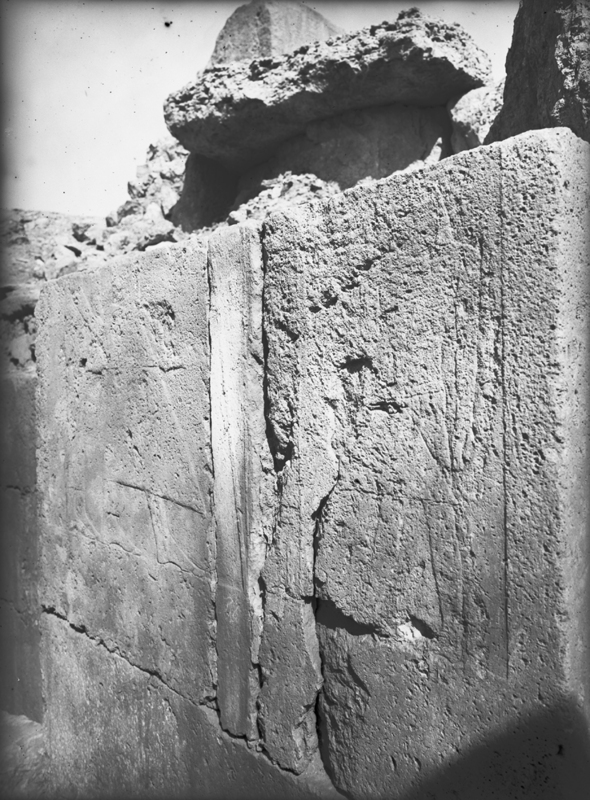 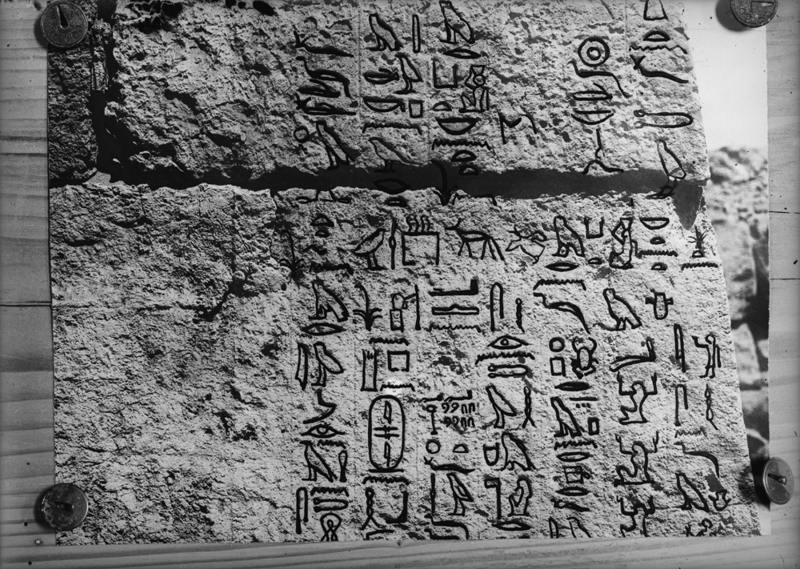 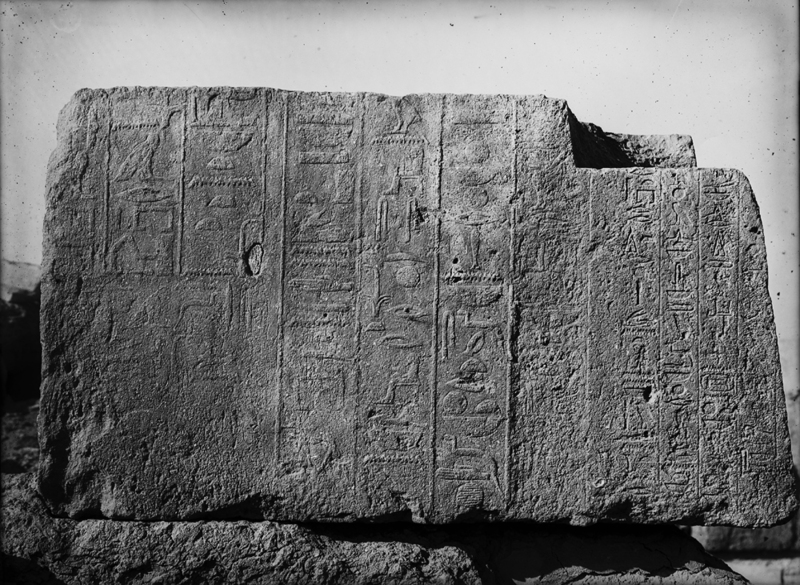 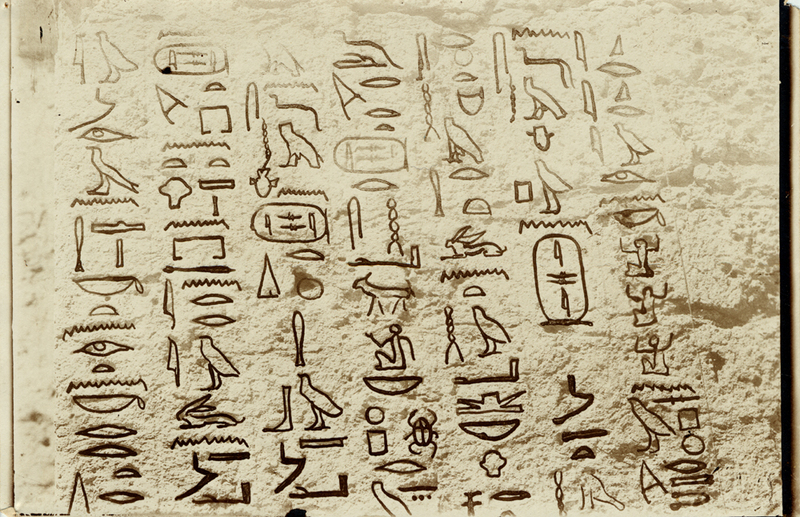 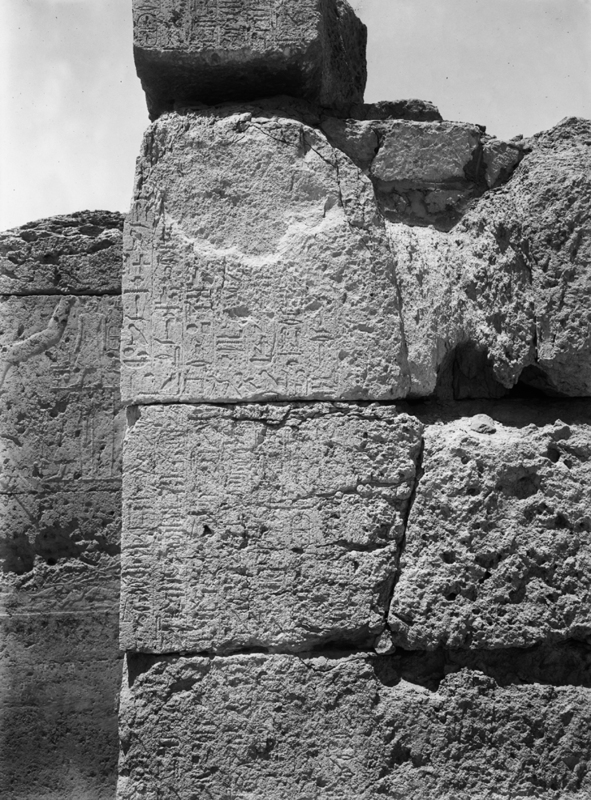 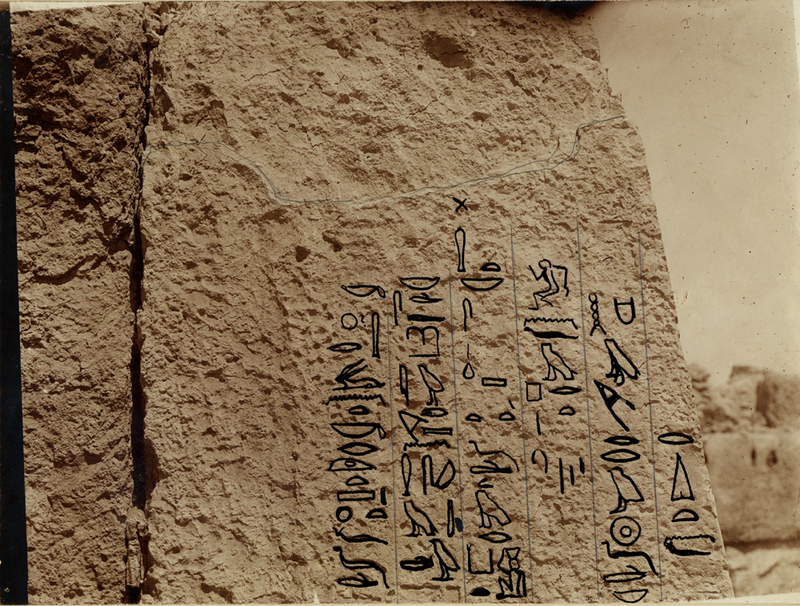 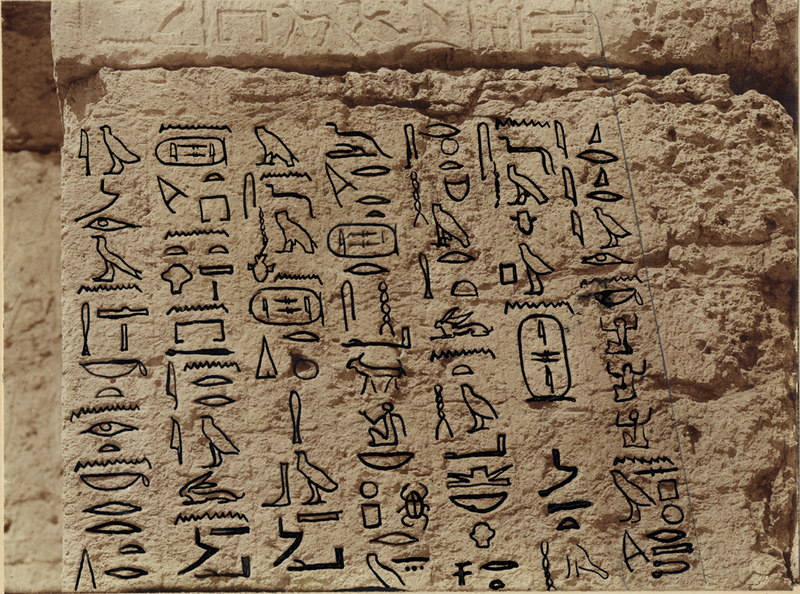 Similar titles found on entrance lintel of Lepsius 10, inscribed for Senedjemib Inti. 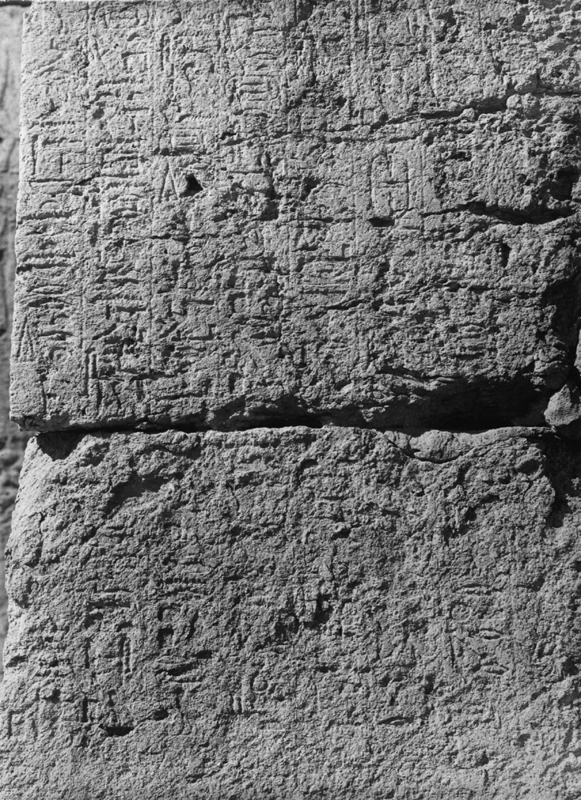 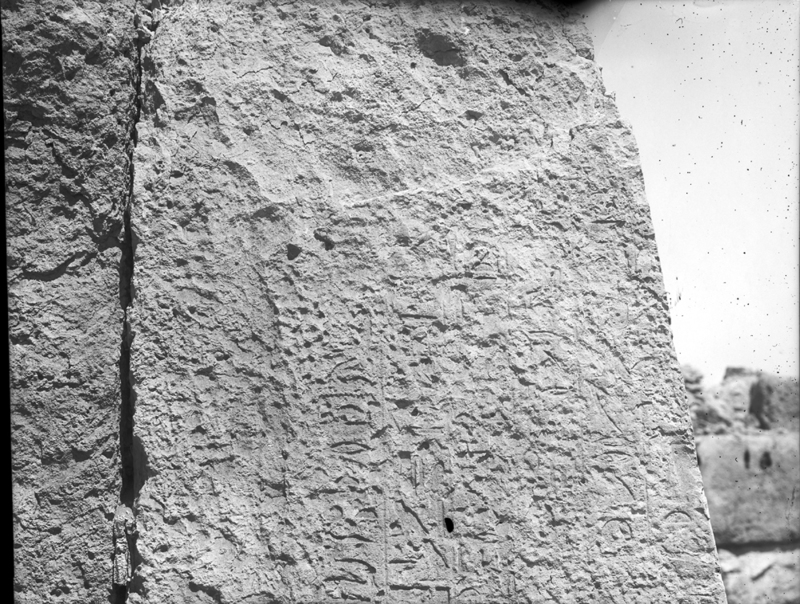 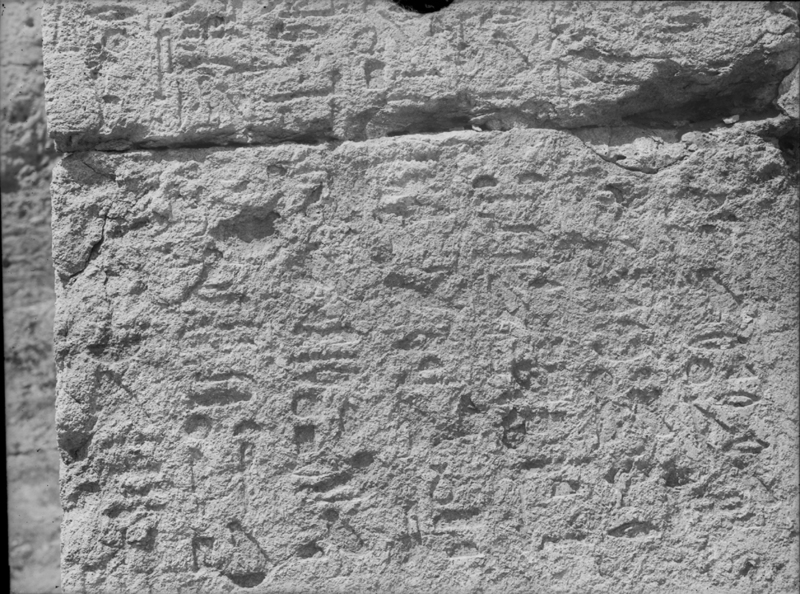 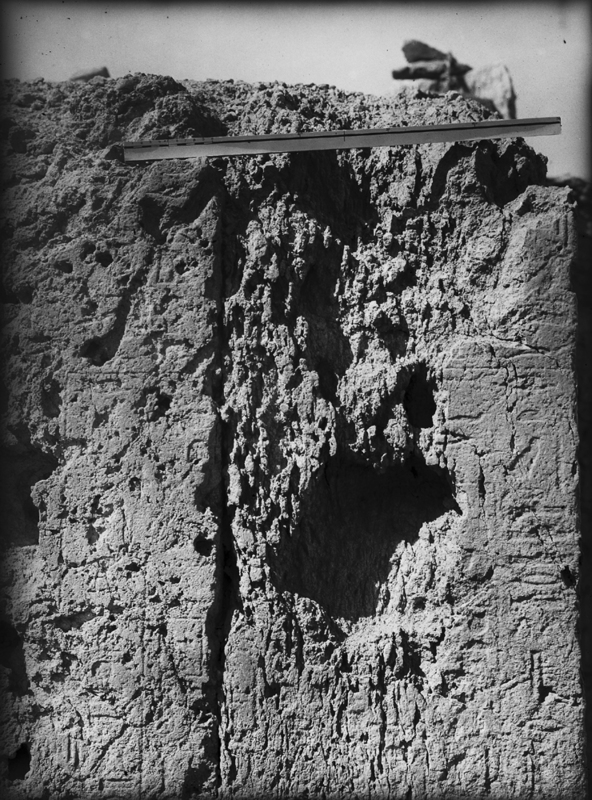 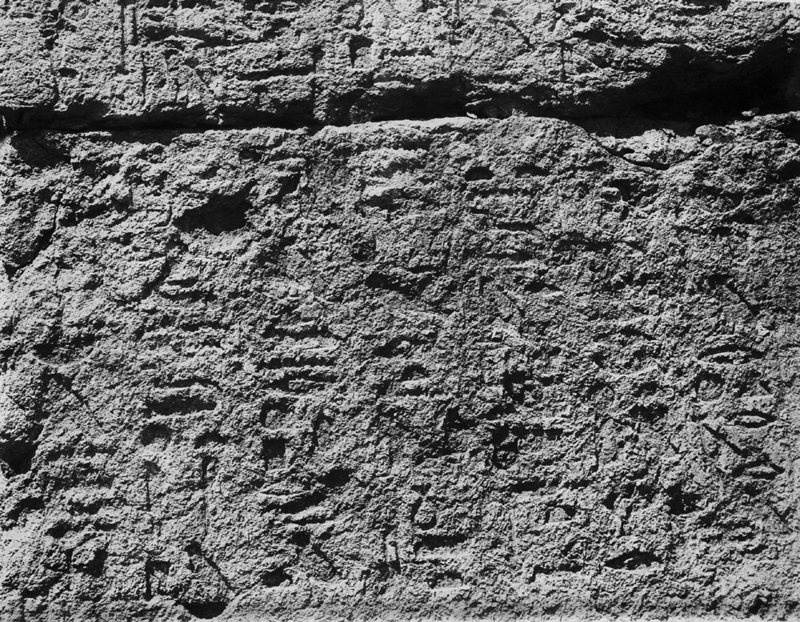 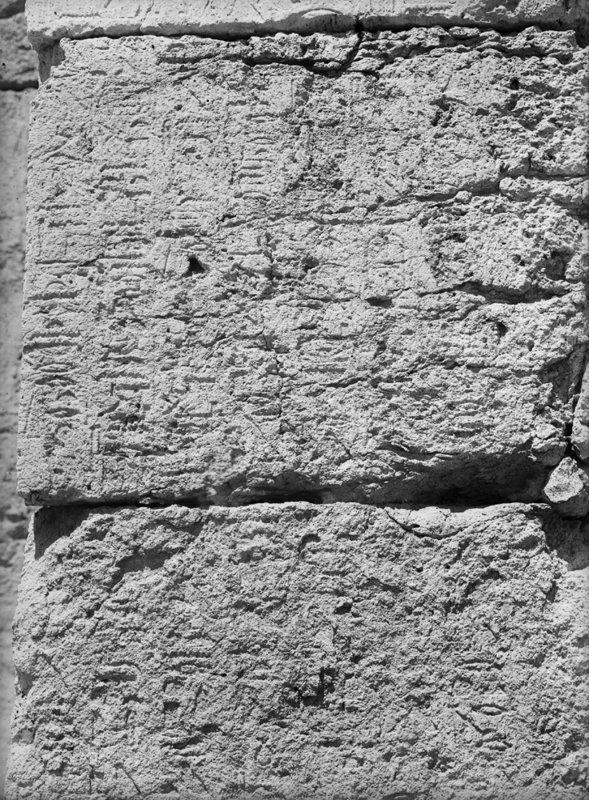 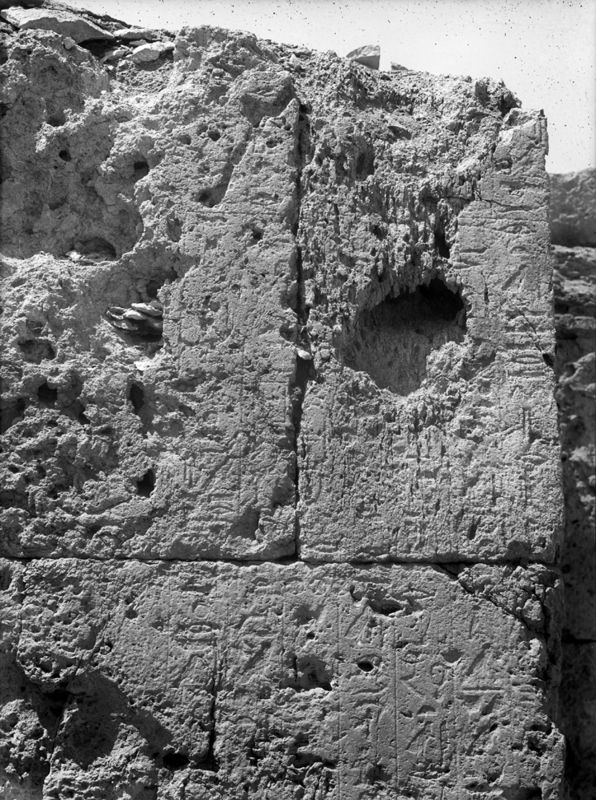 Probably same individual whose name appears on fragmentary limestone architrave (35-9-17 = MFA 35.2033) inscribed for Tjetu; found displaced in G 2338 B (possibly originally from G 2343 = G 5511). 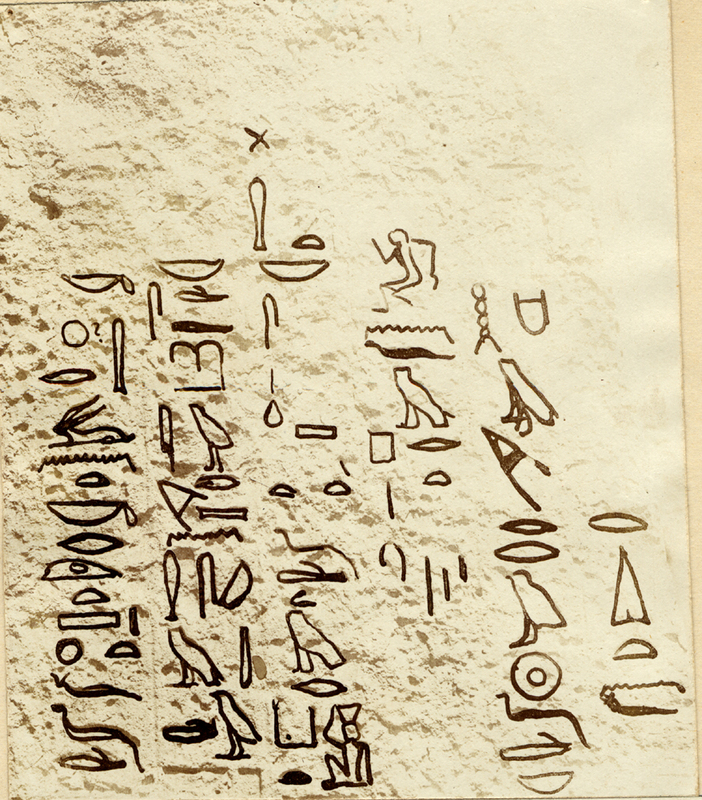 Bulletin of the John Rylands Library 44, No. 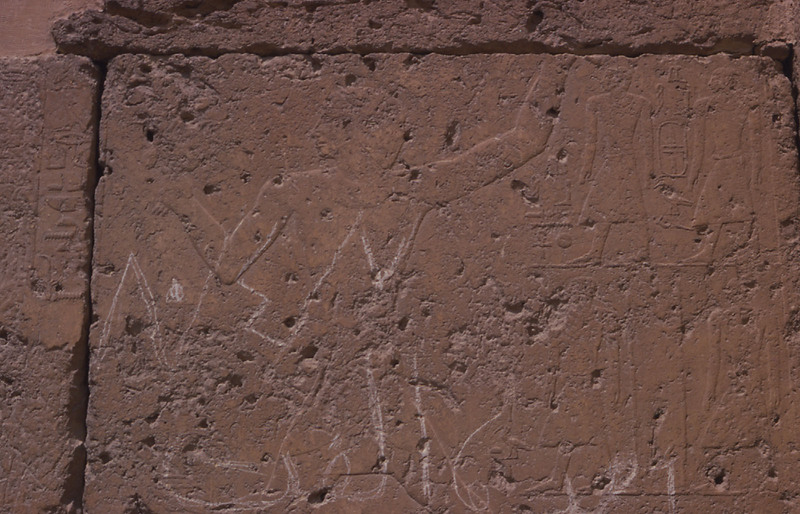 1 (September 1961), pp. 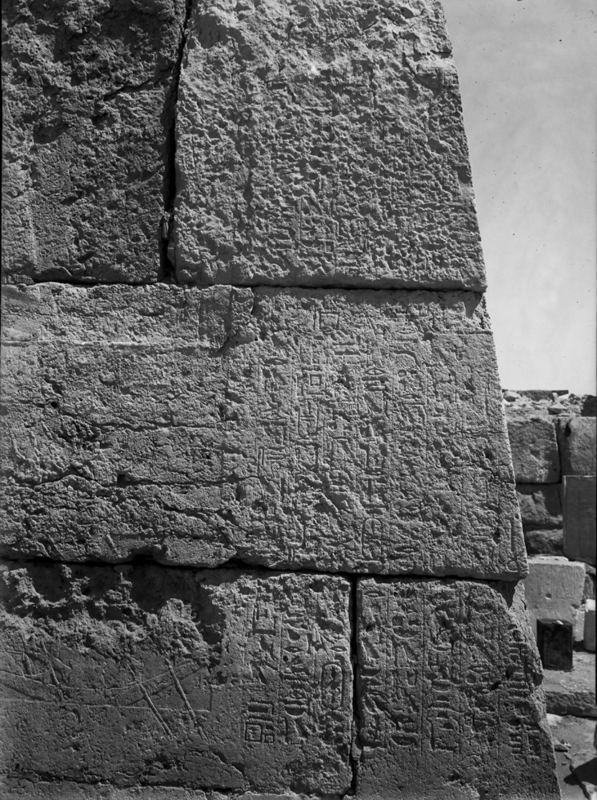 100-118, "Studies in the Archaeology of the Near East II: Some Facts Concerning the Great Pyramids of el-Gîza and Their Royal Constructors"
Journal of Egyptian Archaeology 95 (2009), pp. 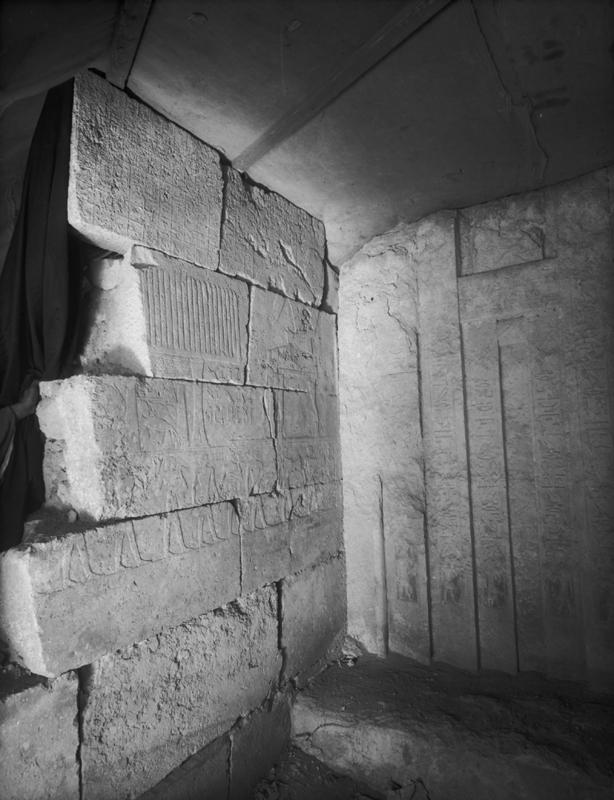 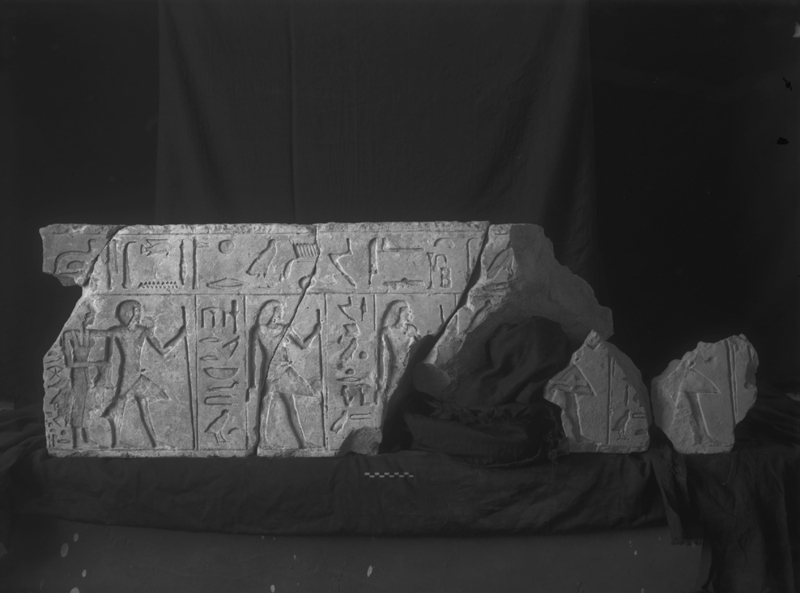 161-174, "Contribution to a Controversy: A Date For the Tomb of kA(=j)-m-anx at Giza"
Journal of the American Research Center In Egypt 35 (1998), pp 115-127, "A Case of Prefabrication at Giza? 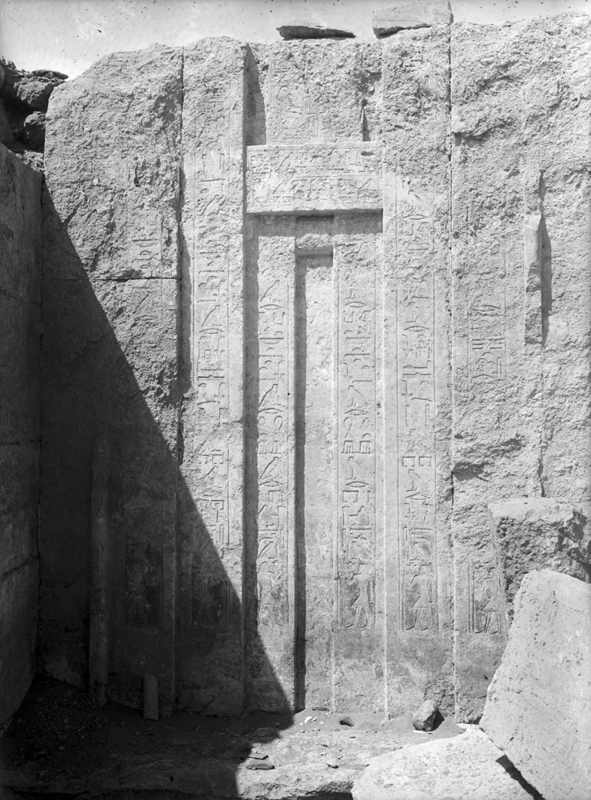 The False Door of Inti"
Orientalia 46 (1977), pp. 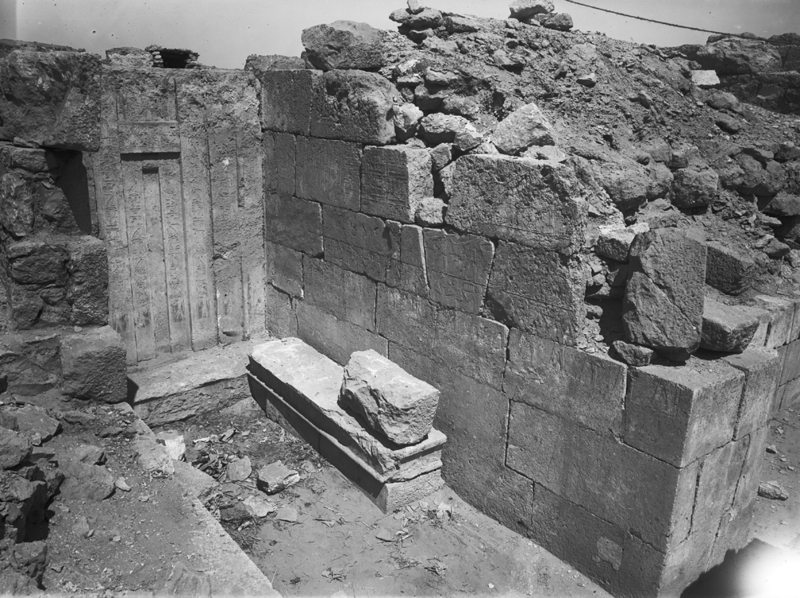 107-115, "The Doors of Heaven"